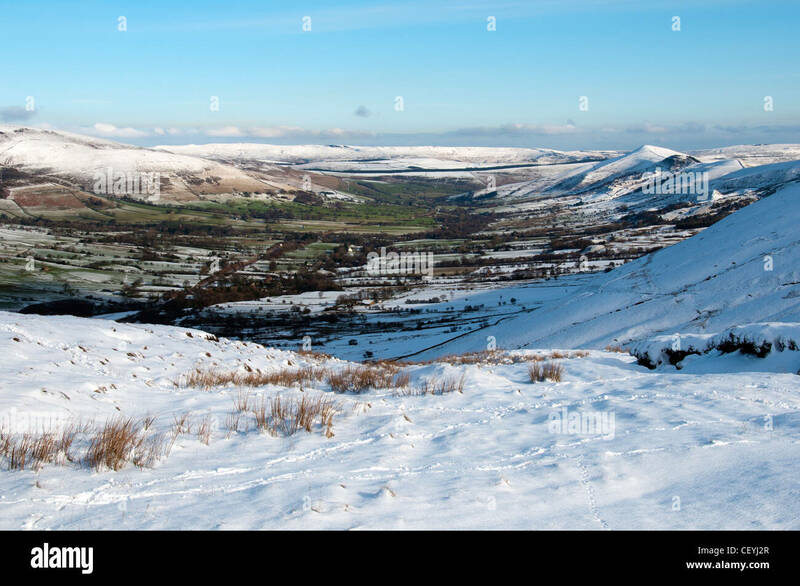 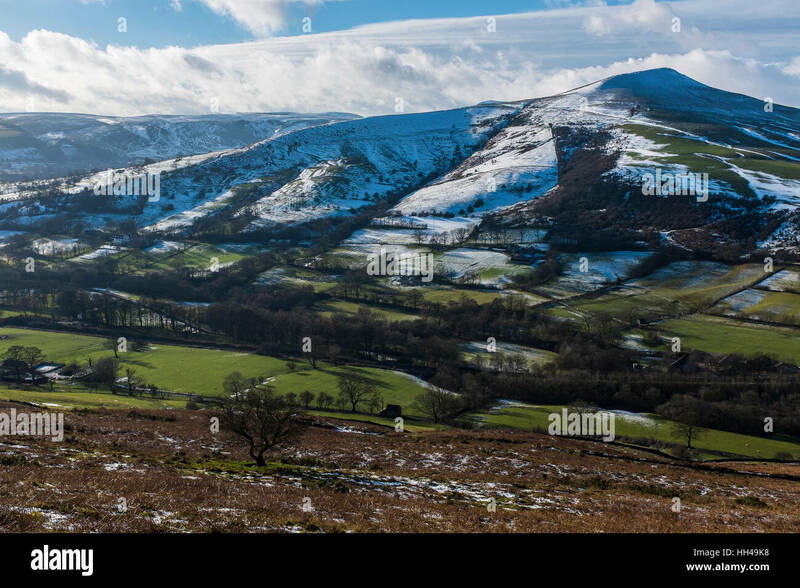 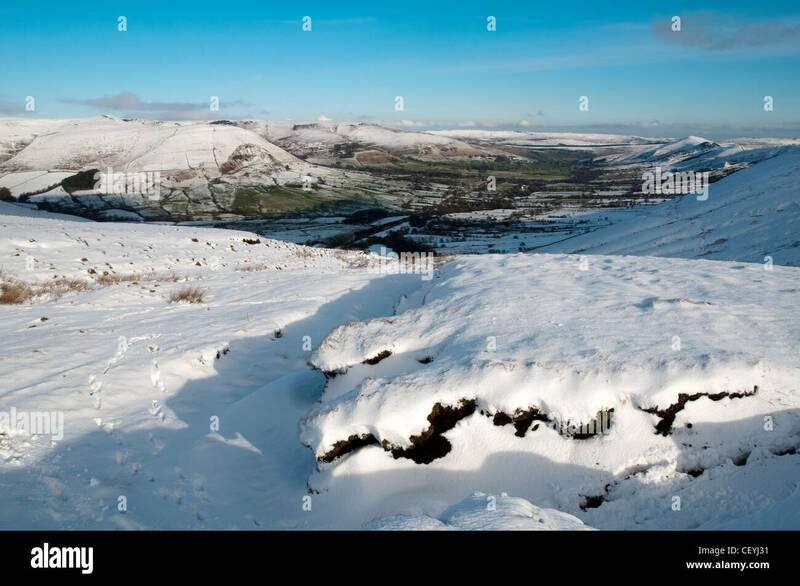 Edale from Brown Knoll in winter. 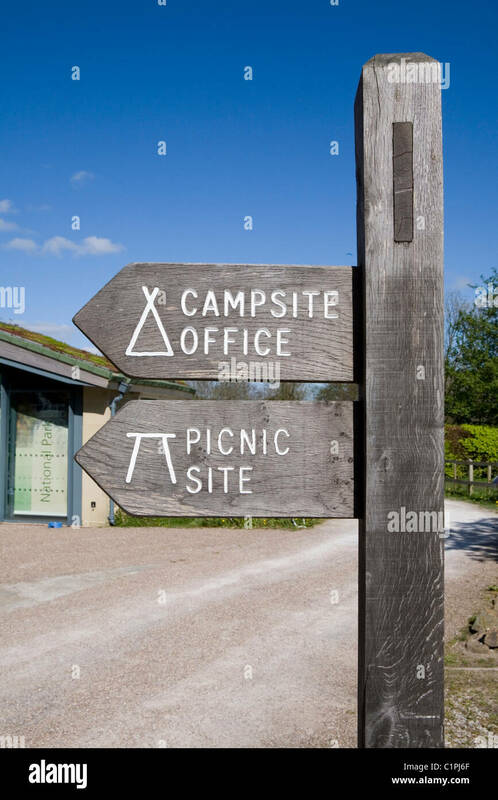 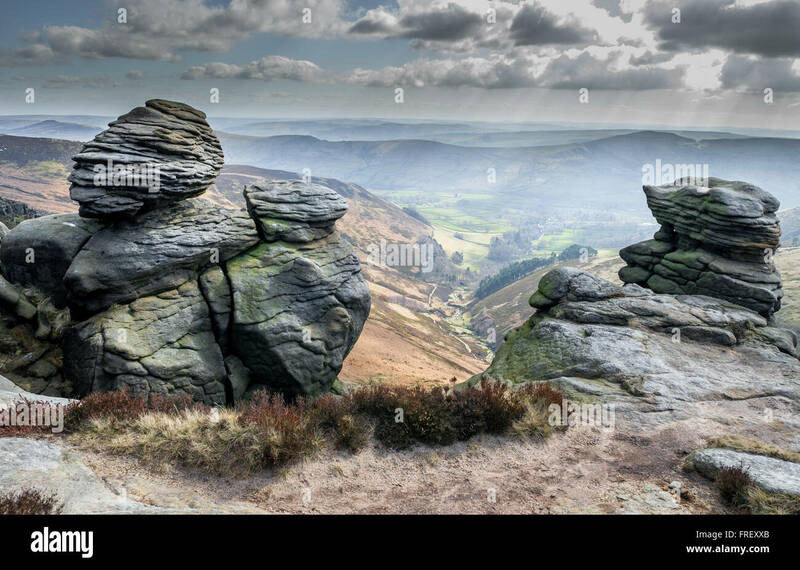 Peak District, Derbyshire, England, UK. 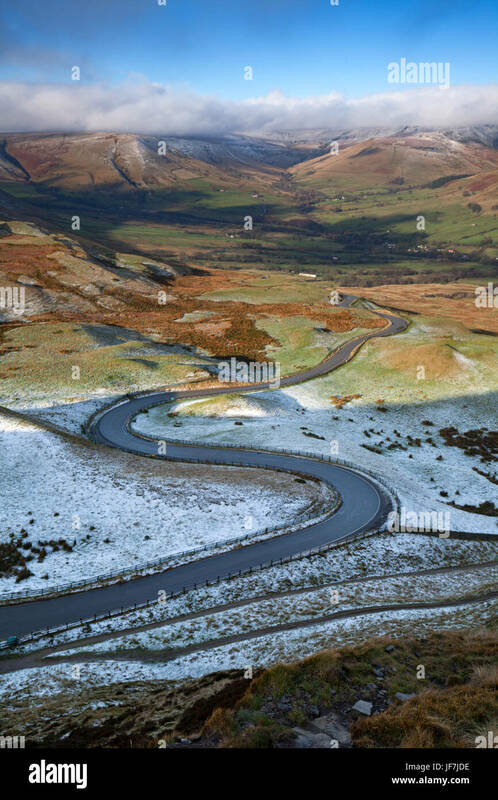 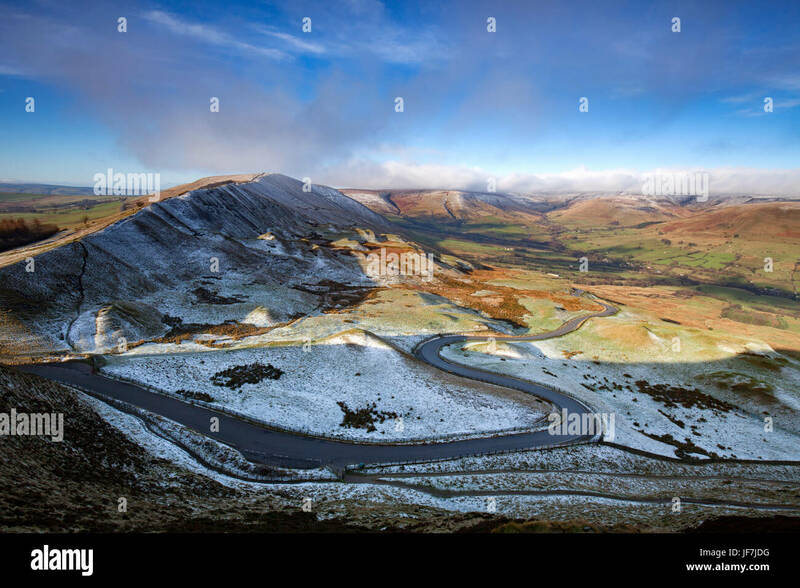 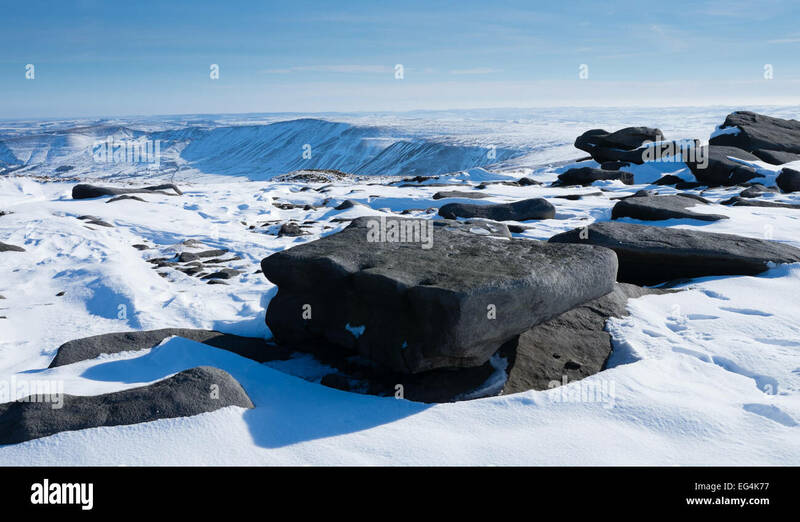 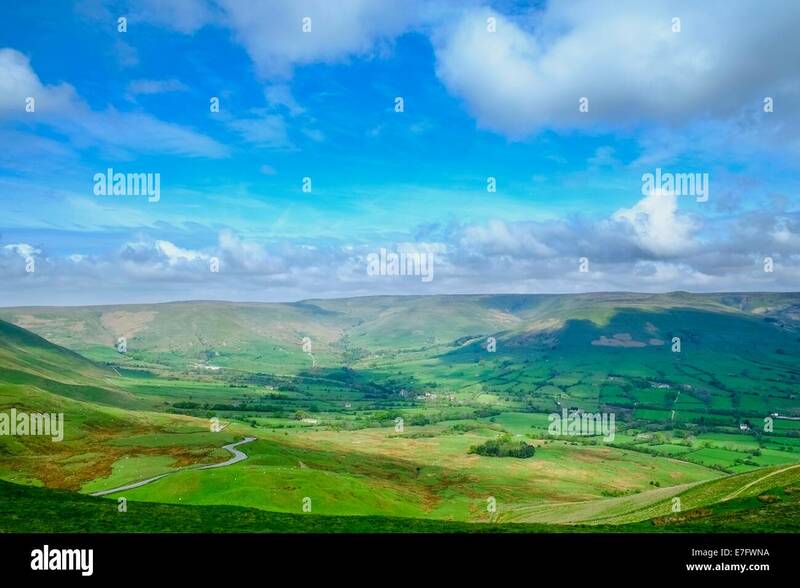 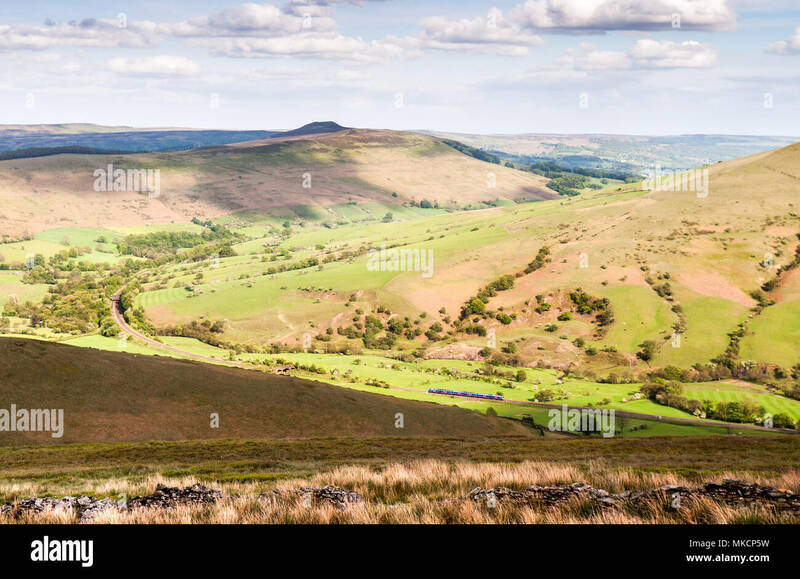 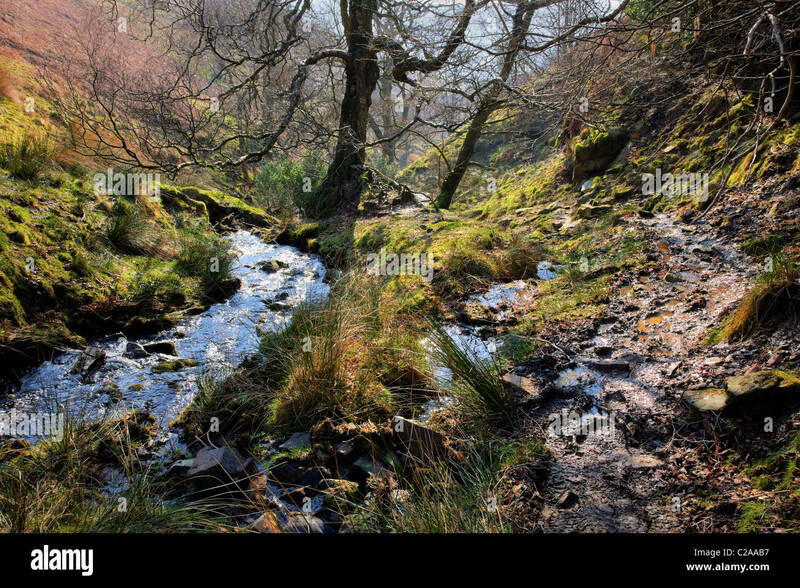 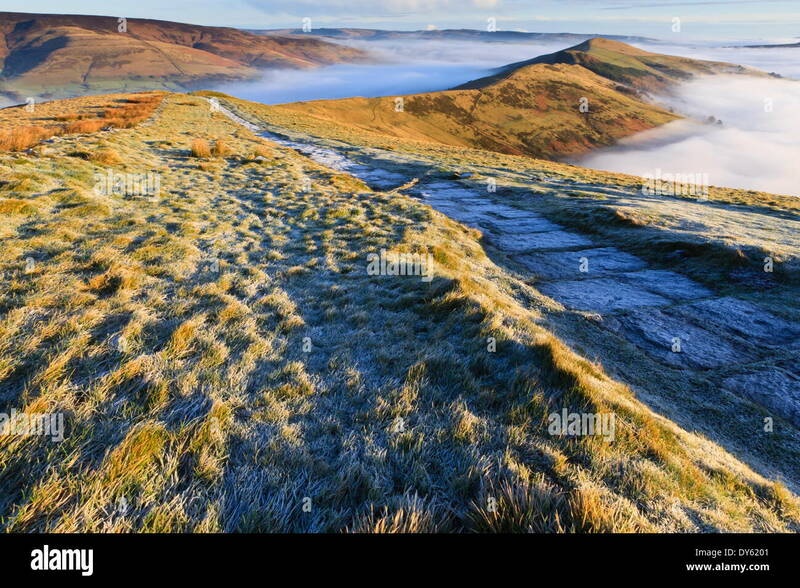 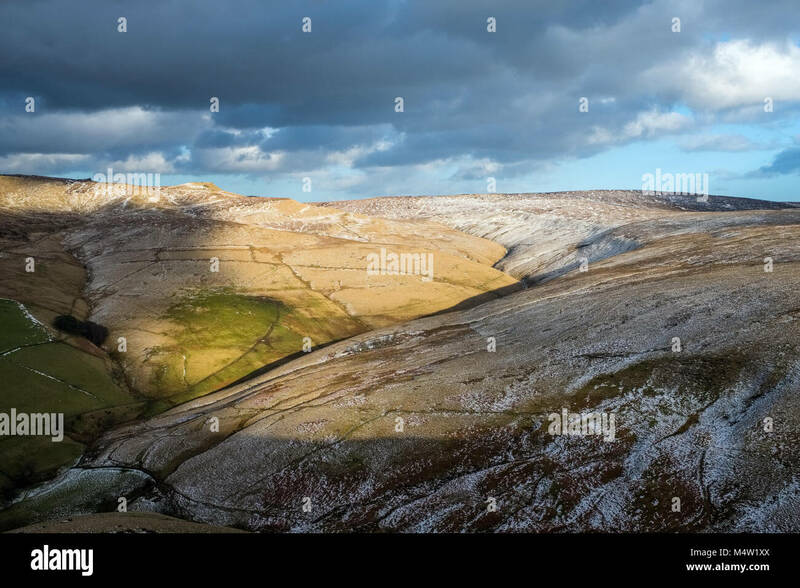 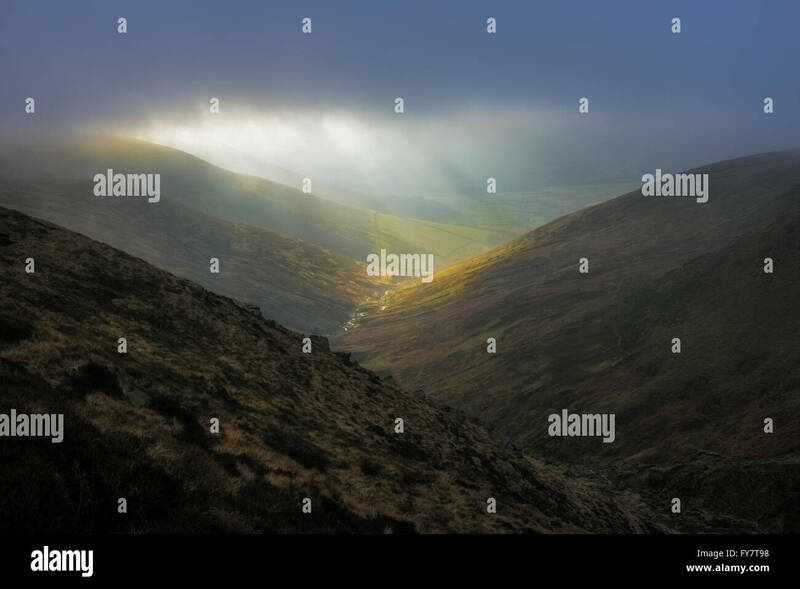 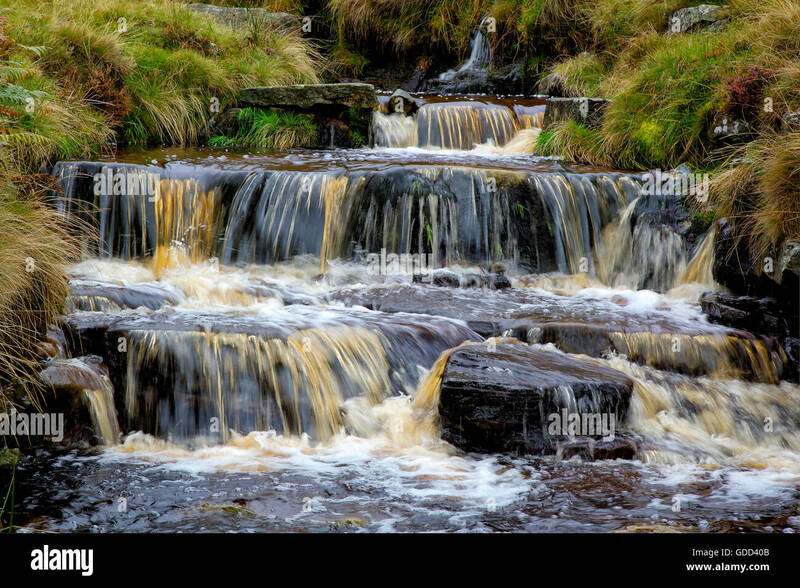 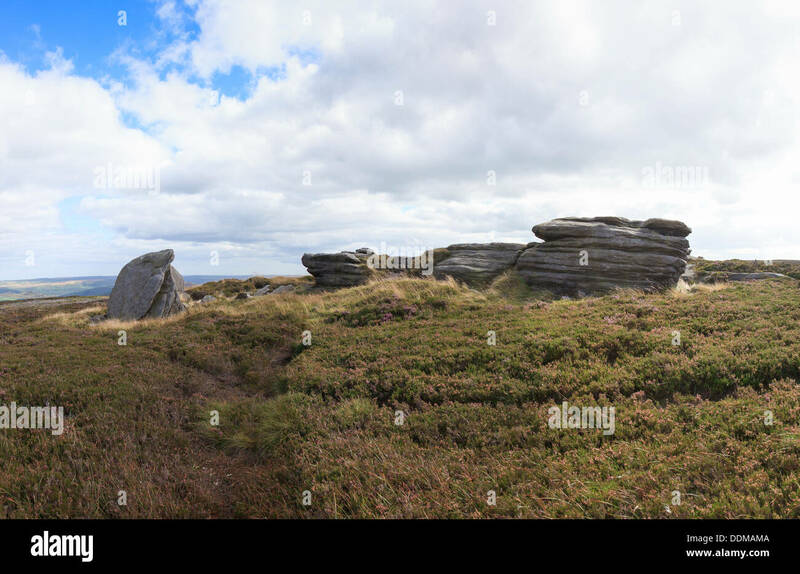 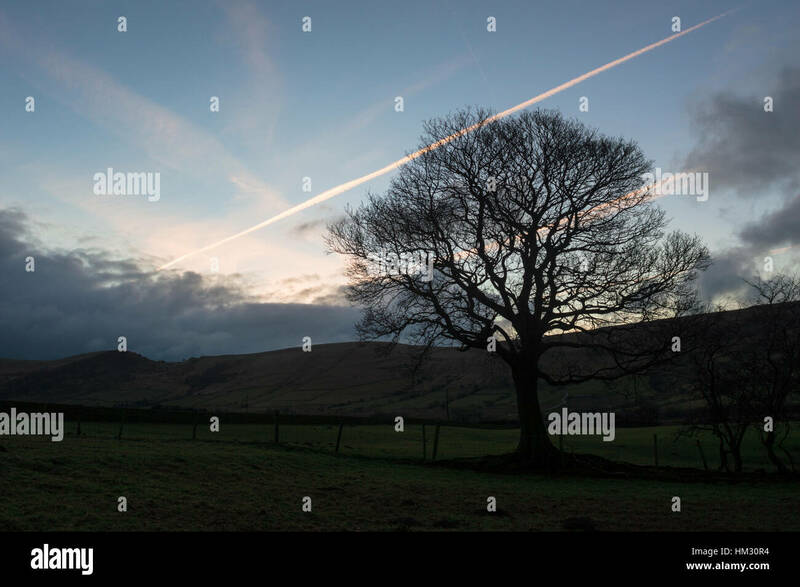 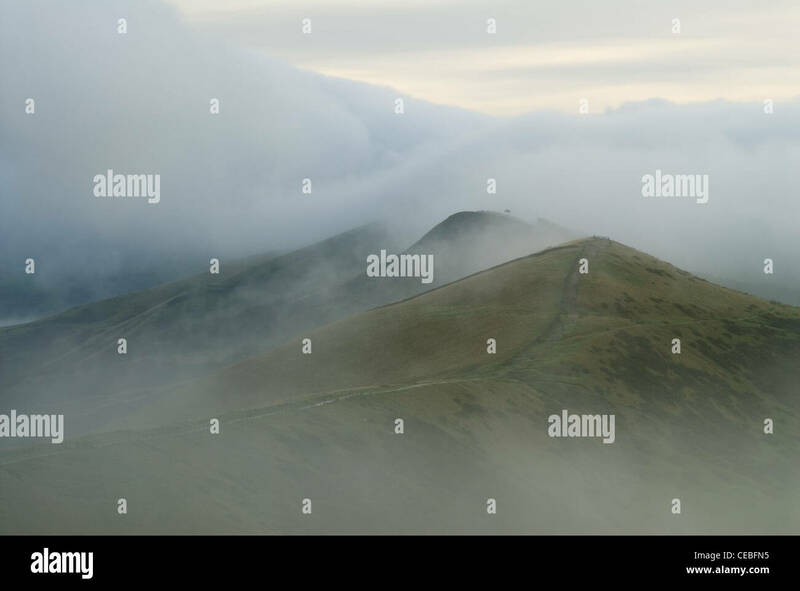 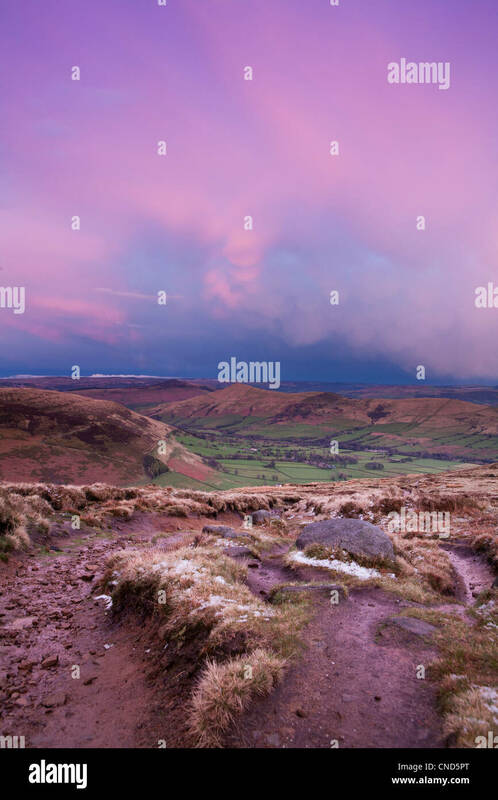 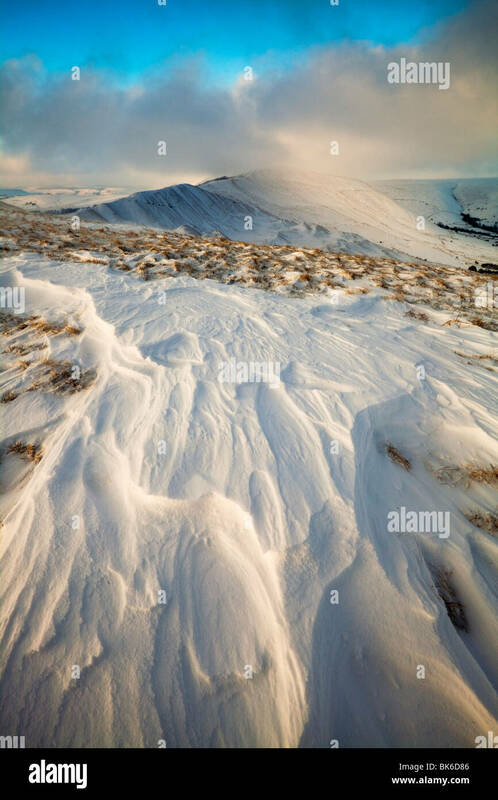 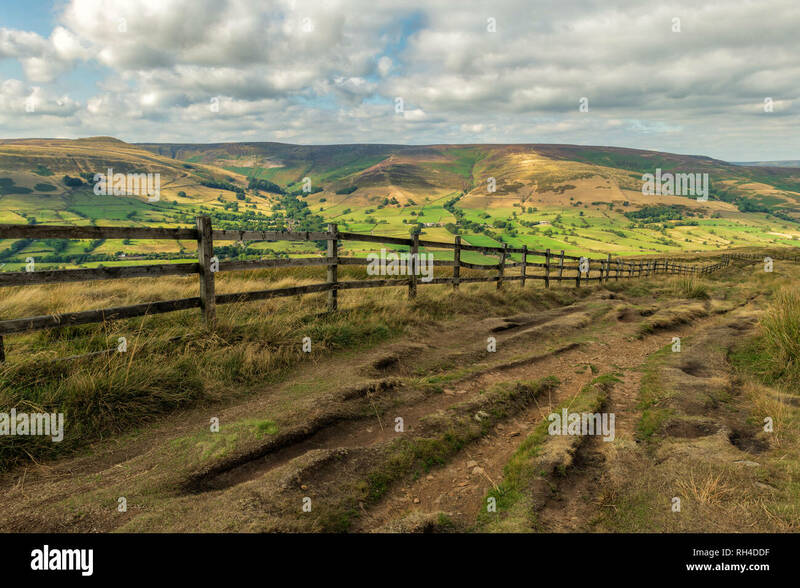 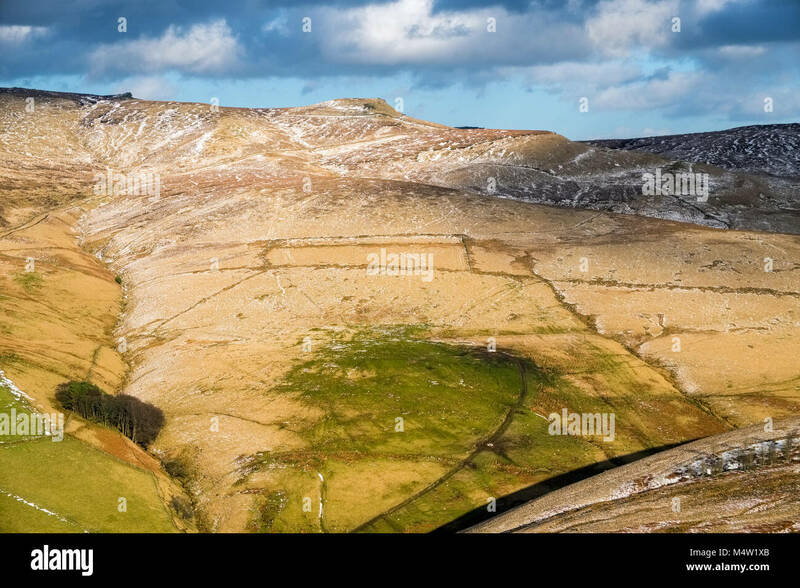 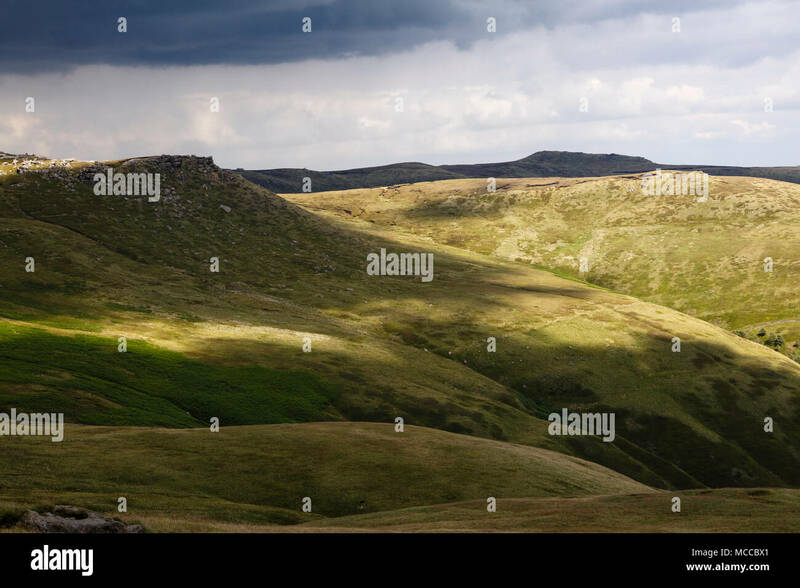 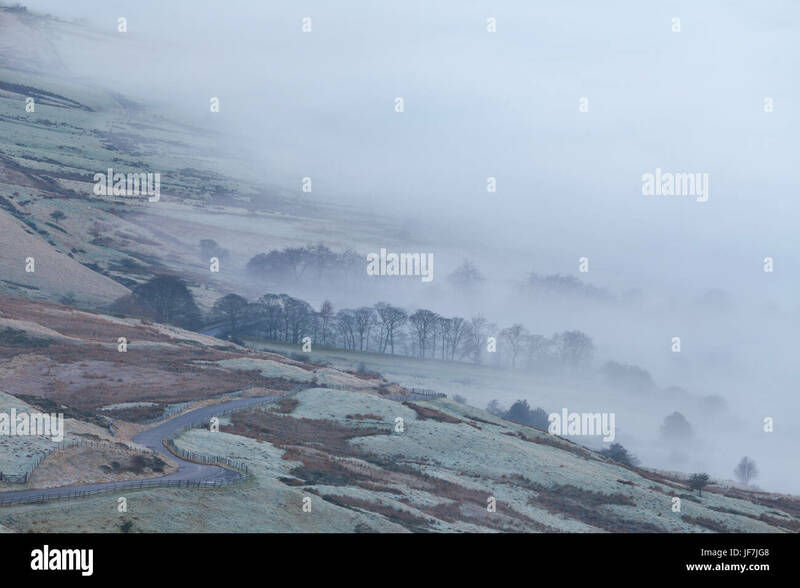 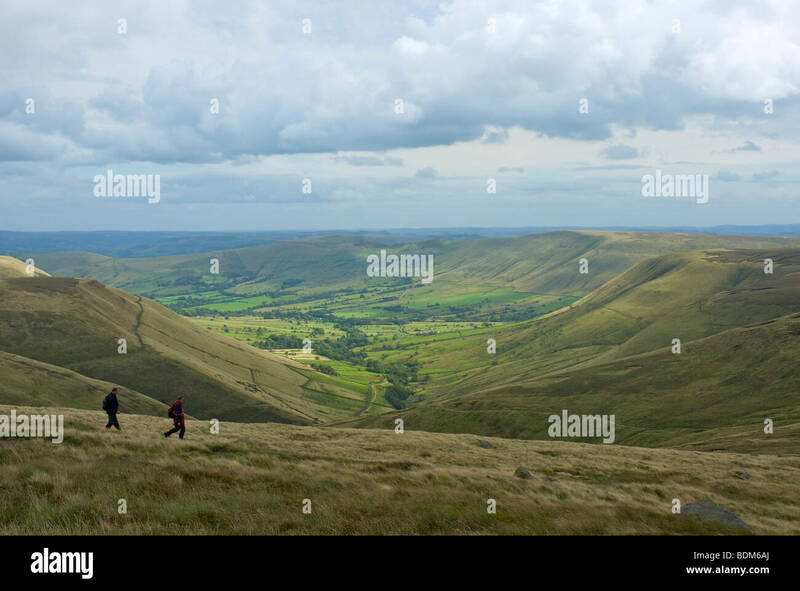 The moorland plateau of Kinder Scout rises above the lush pasture fields of Edale valley in Derbyshire, in England's Peak District National Park. 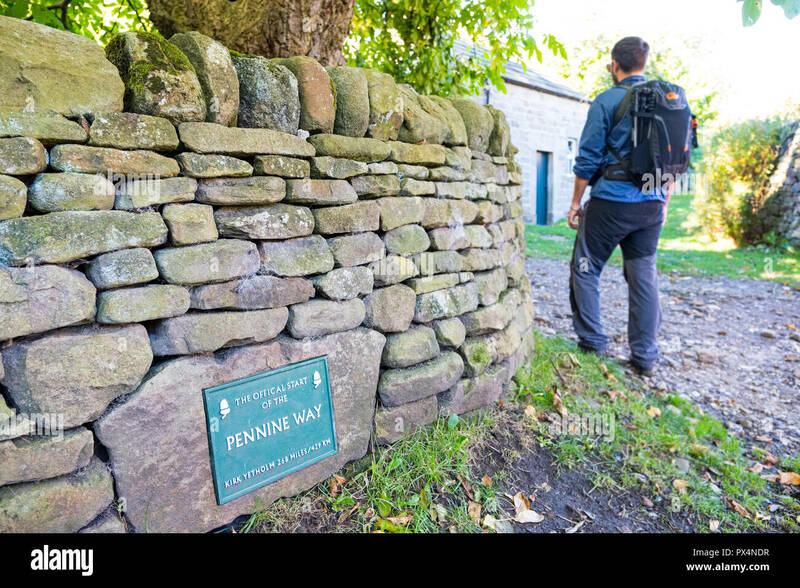 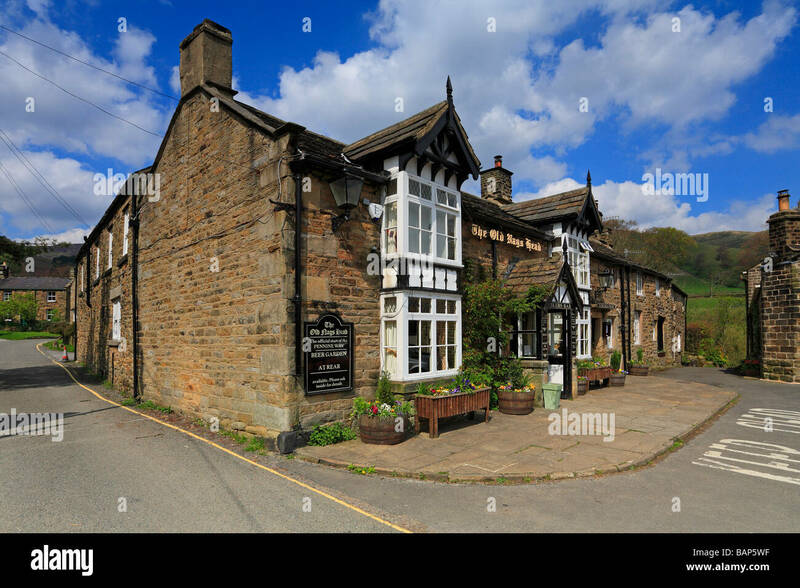 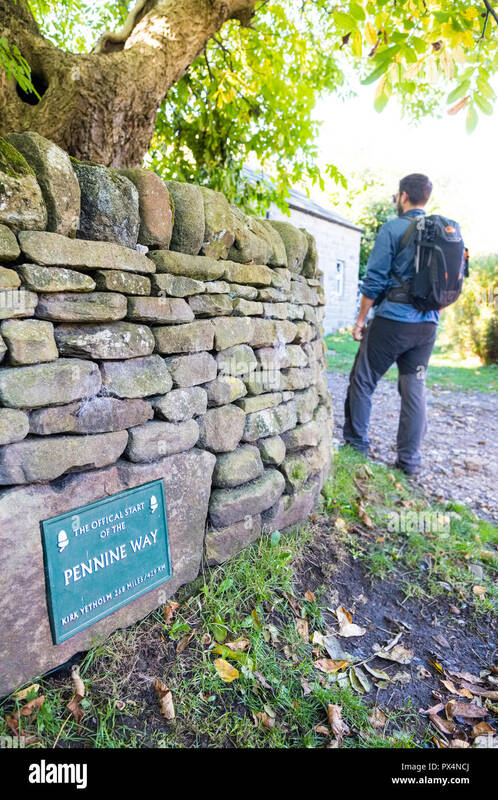 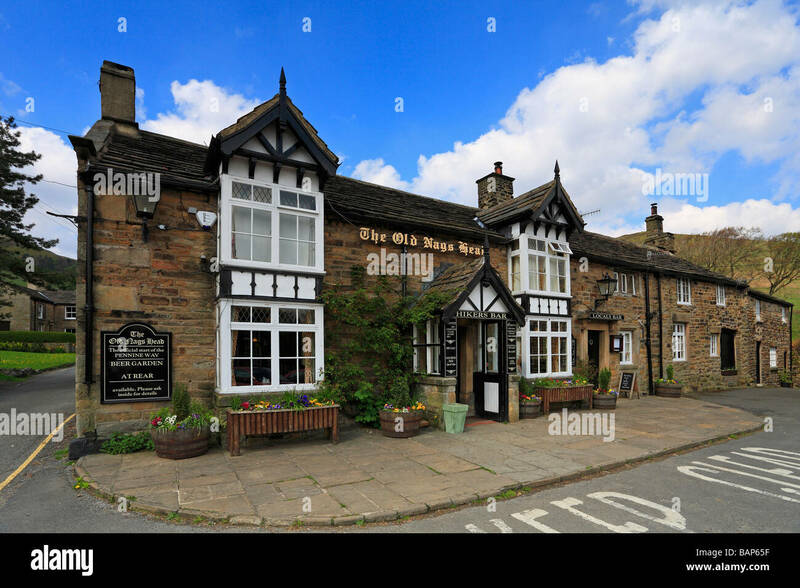 The Old Nags Head pub start of the Pennine Way at Edale, Derbyshire, Peak District National Park, England, UK. 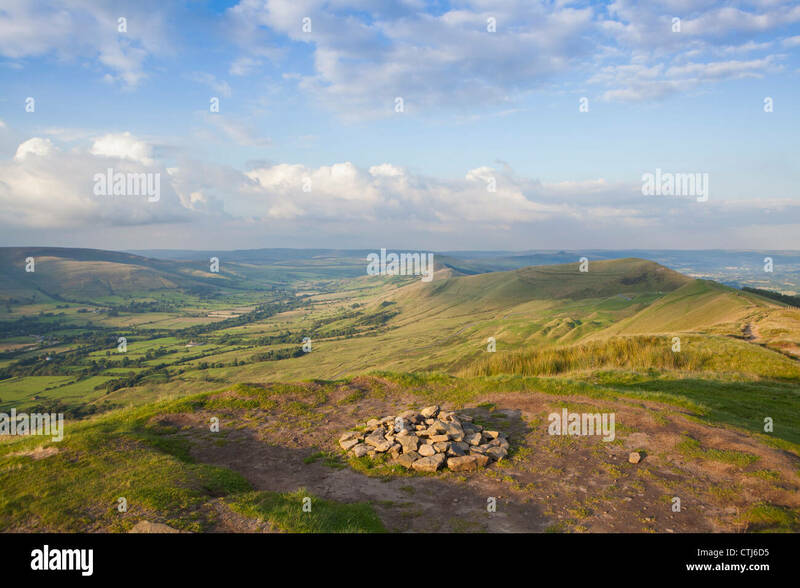 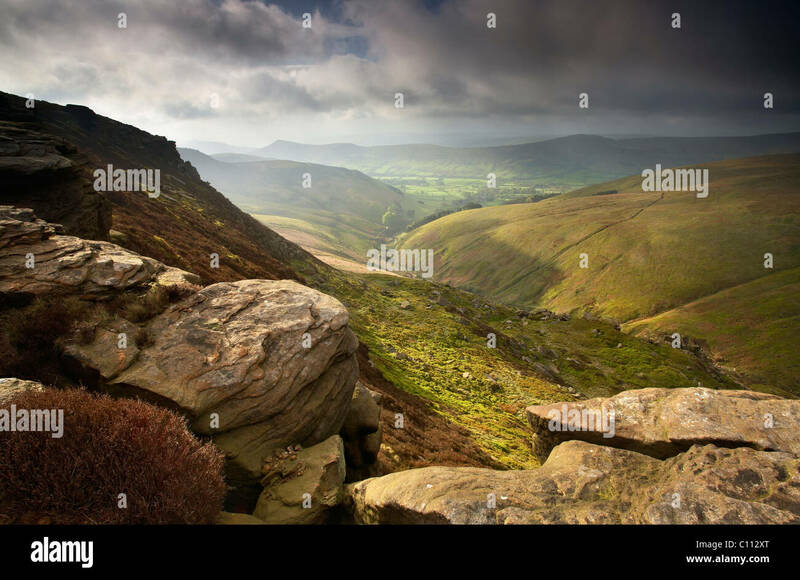 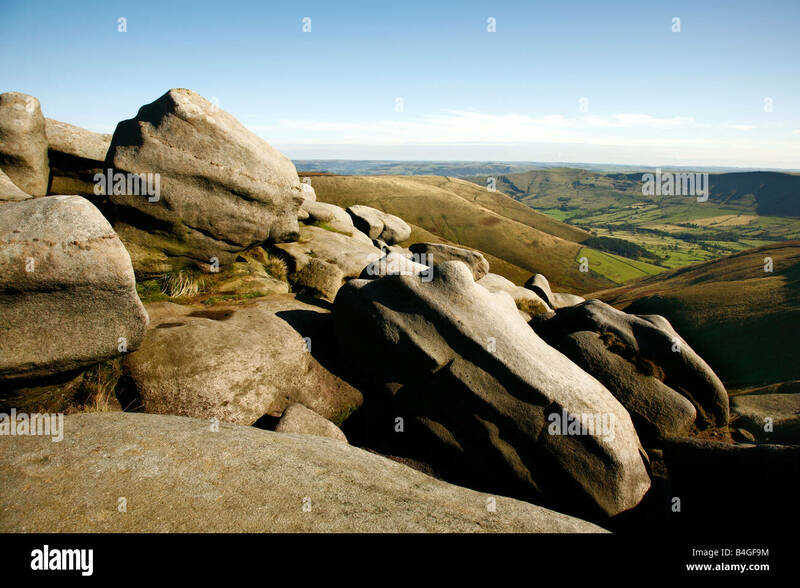 Outcrop of Gritstone on the top of Edale moor overlooking Edale in Derbyshire, England, U.K.
Hollins Cross, Mam Tor and Edale from Backtor,Peak District National Park,Derbyshire,England,UK. 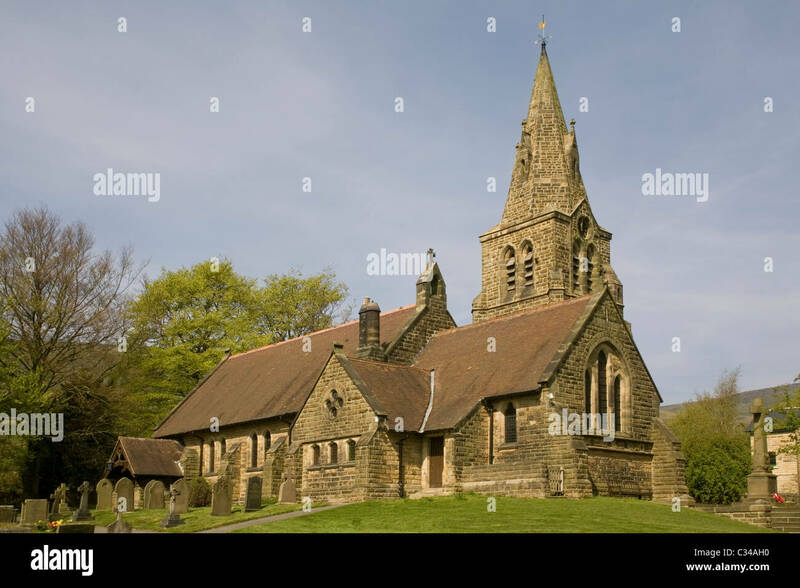 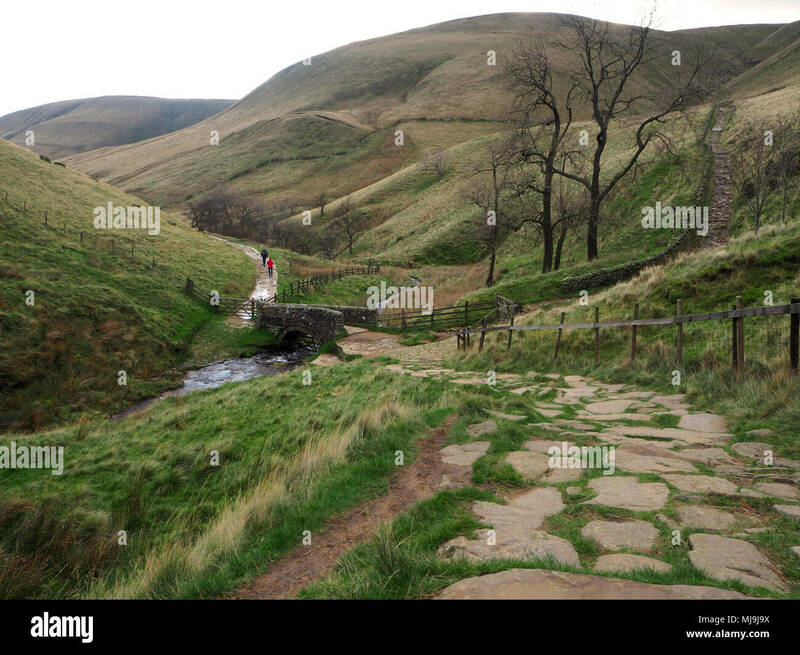 Edale, Derbyshire, UK. 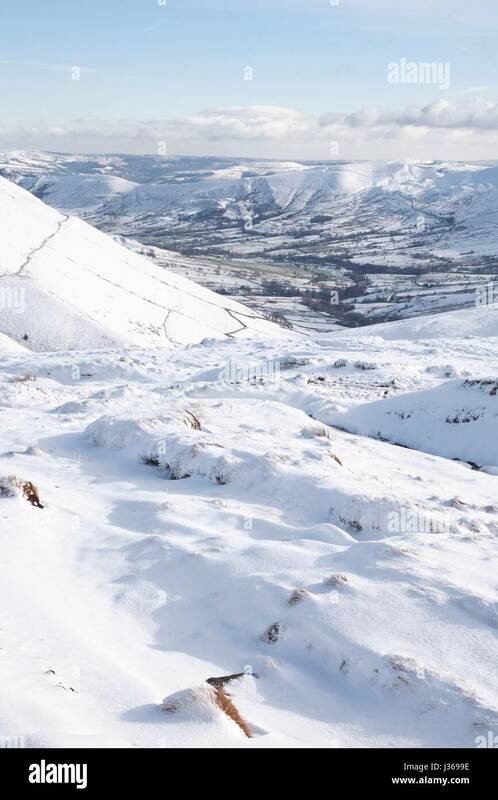 4th Jan 2015. 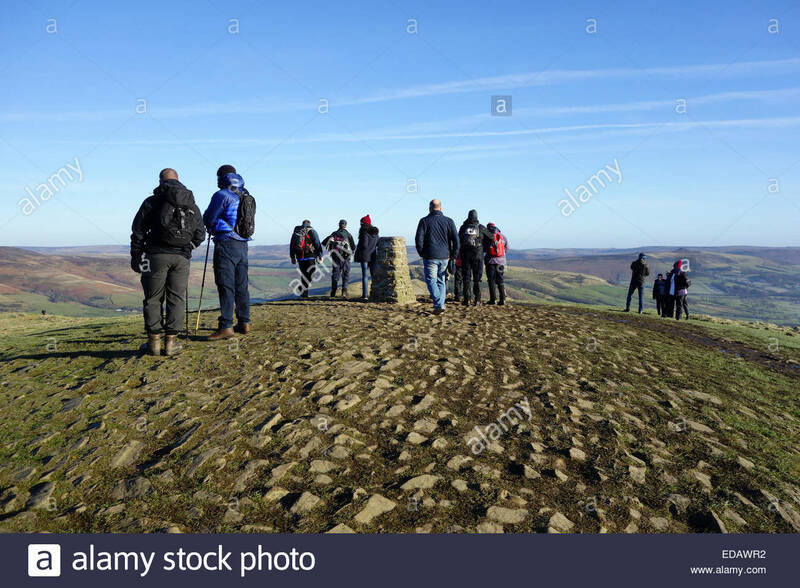 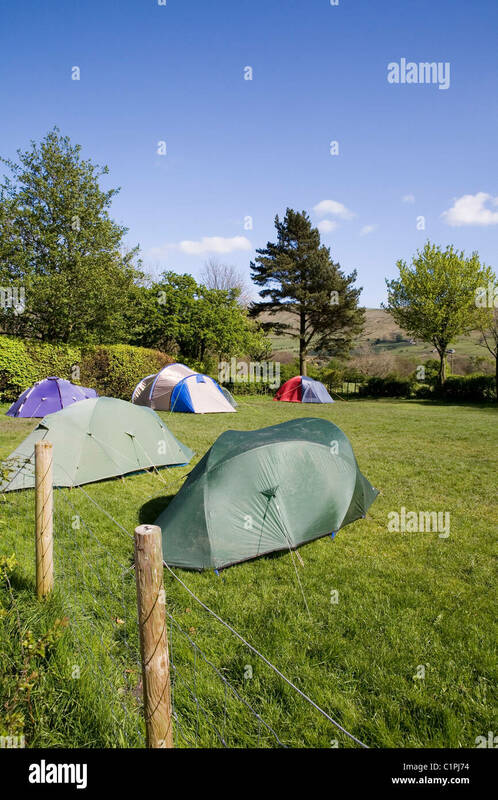 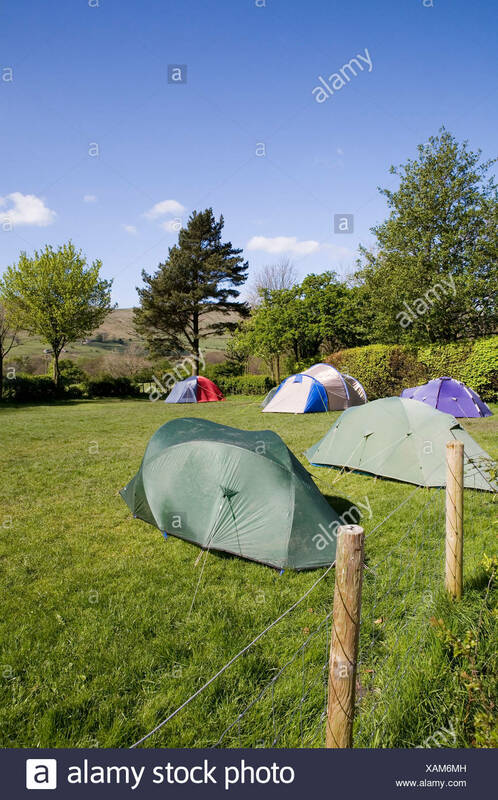 UK Weather: After a hard frost, clear blue skies and bright winter sunshine has brought out large numbers of walkers to the Peak District, on what is, for many, their last day of the Christmas and New Year break. 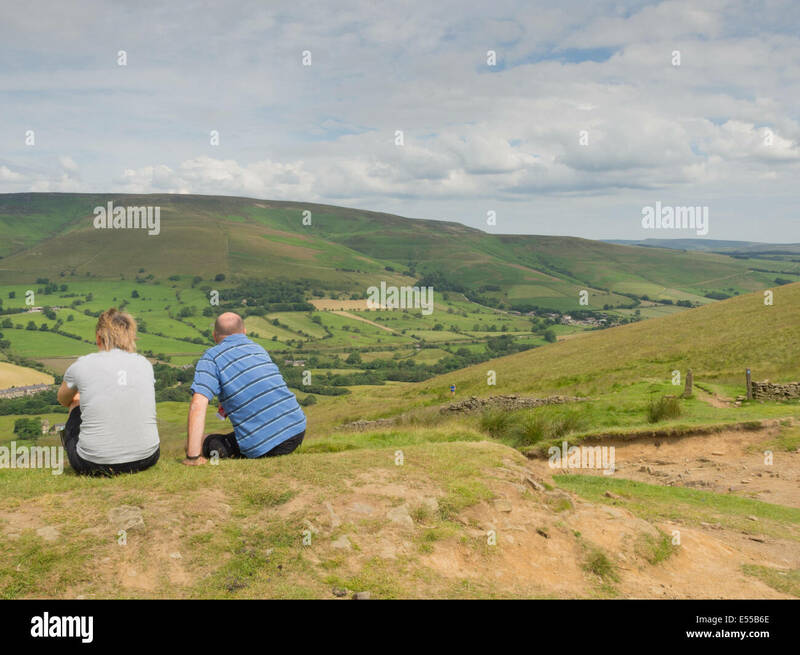 Walkers pause on the top of Mam Tor to take in the excellent views. 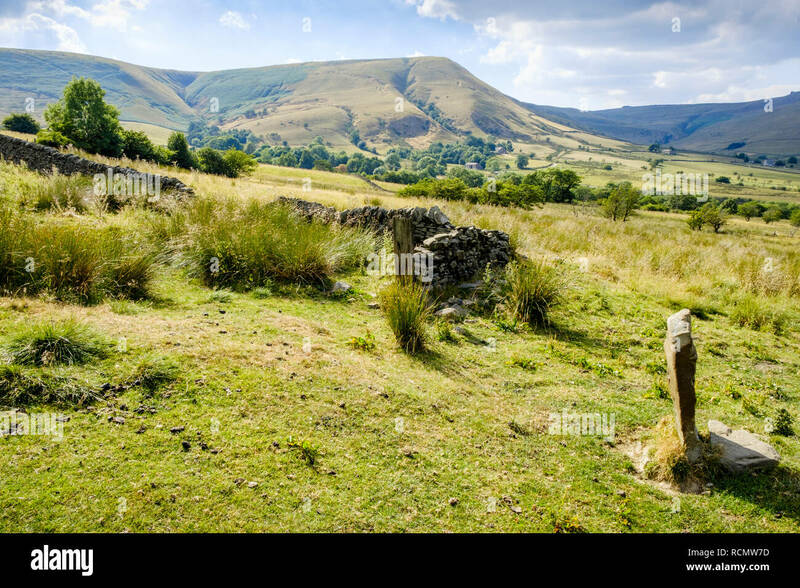 A derelict field boundary wall and gateway on moorland above Edale in the Peak District National Park. 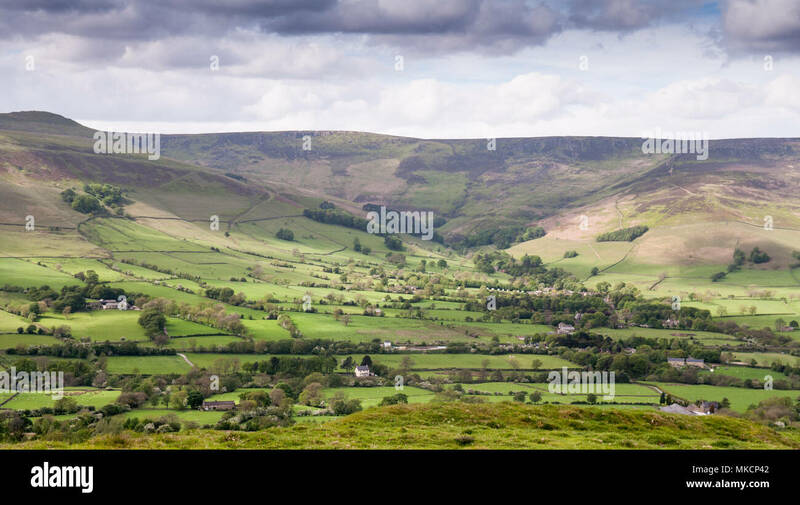 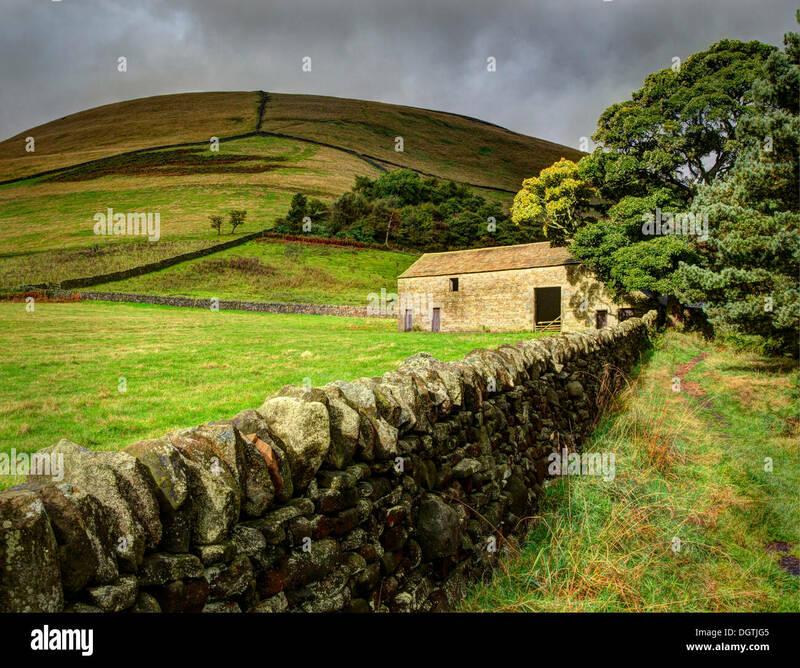 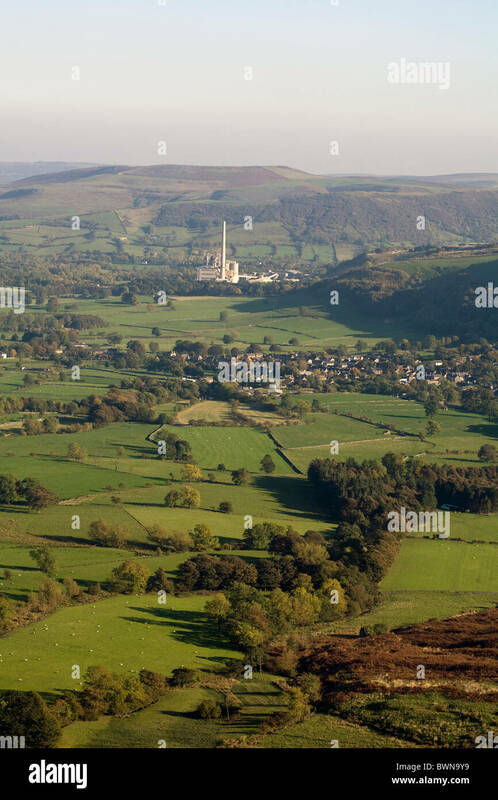 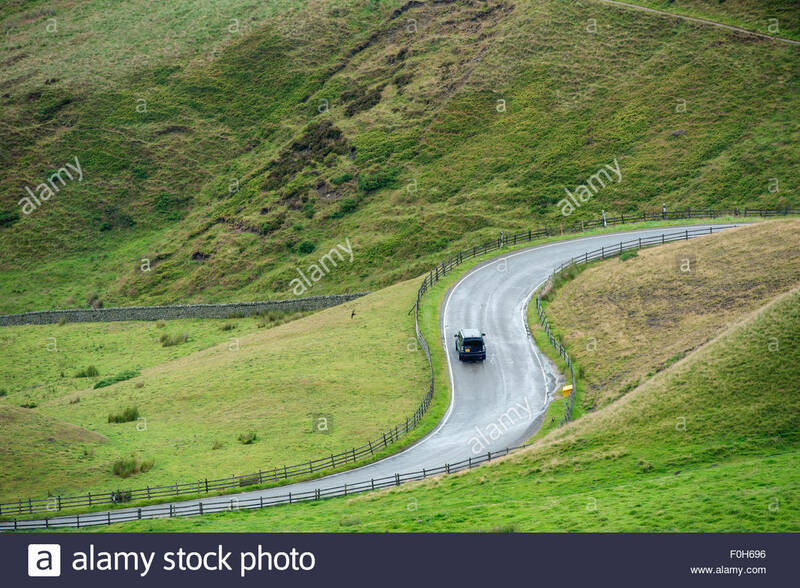 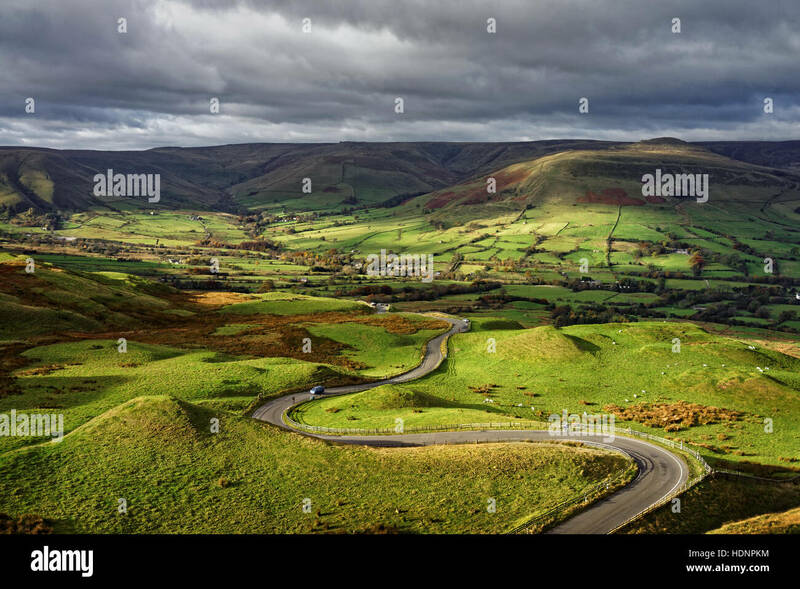 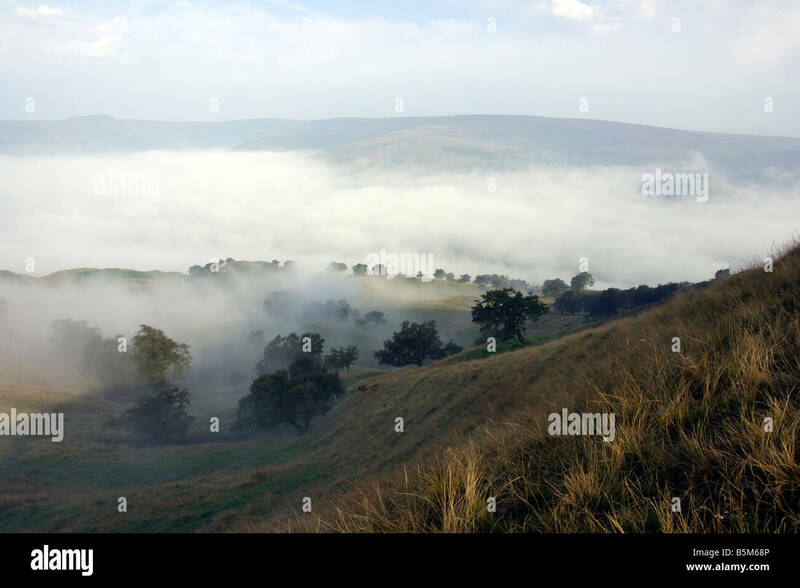 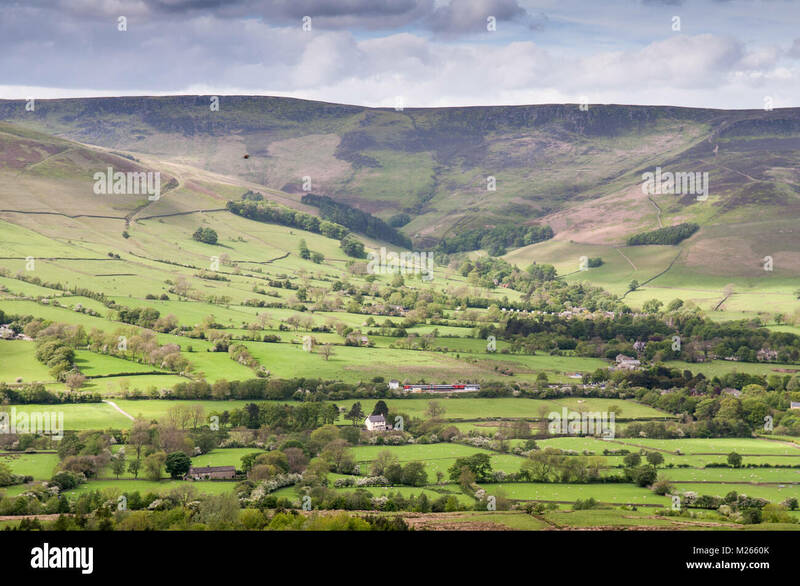 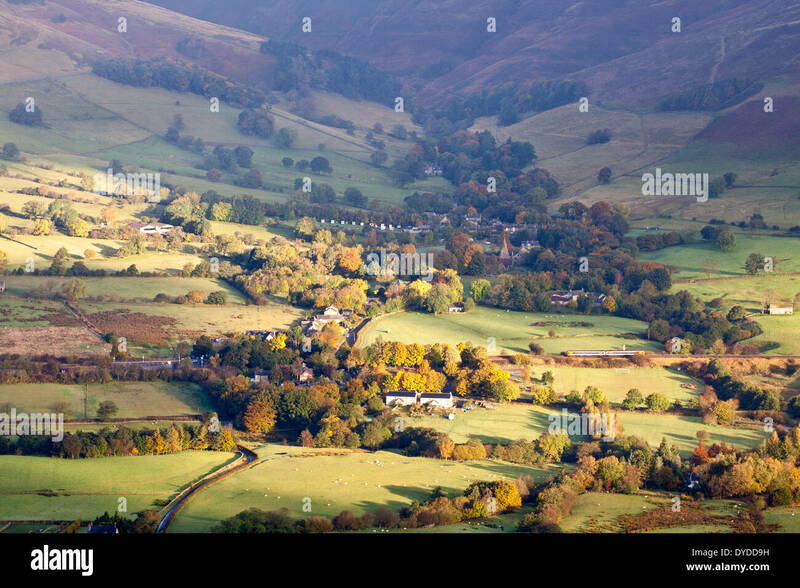 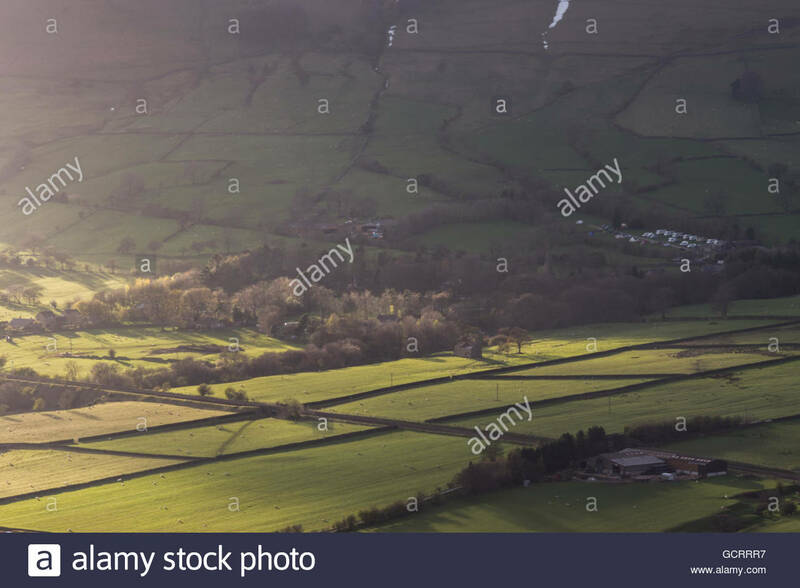 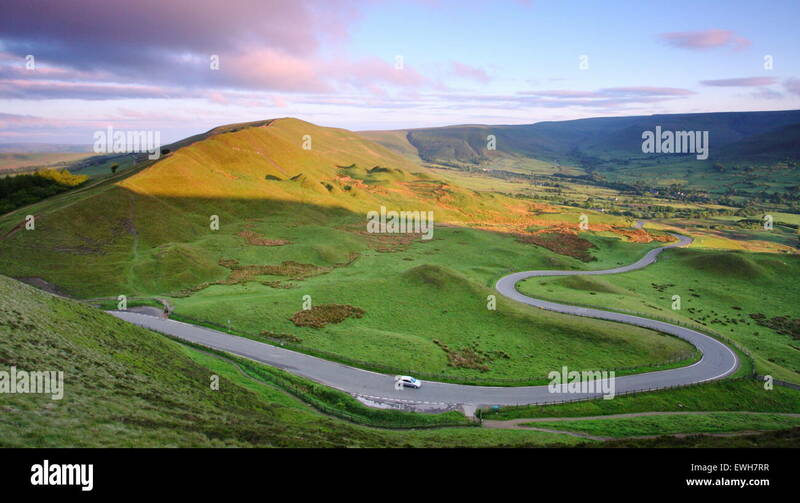 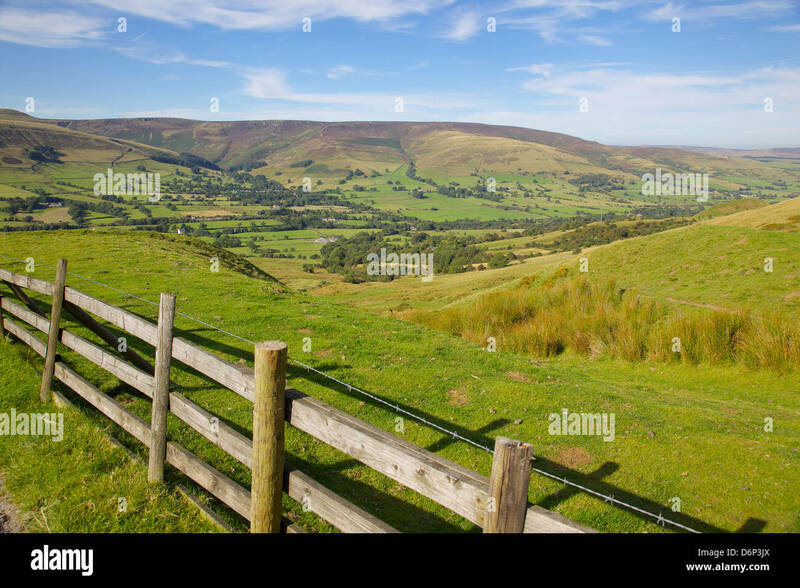 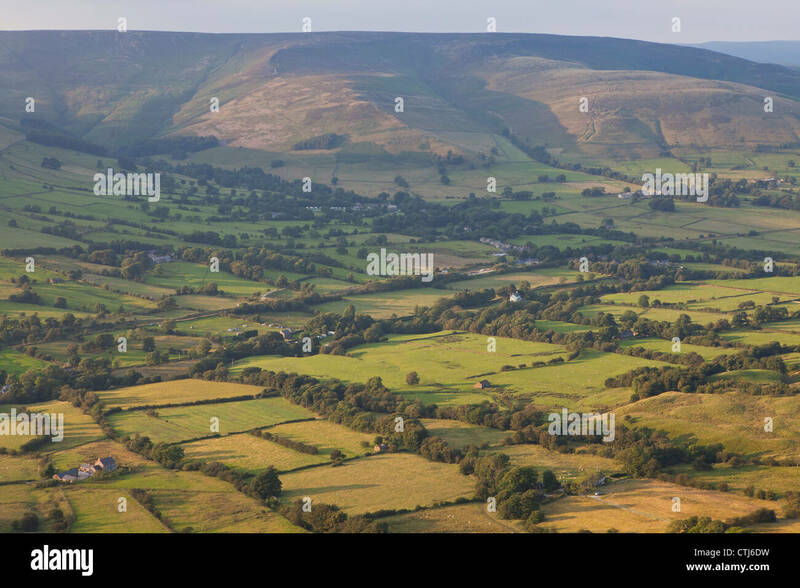 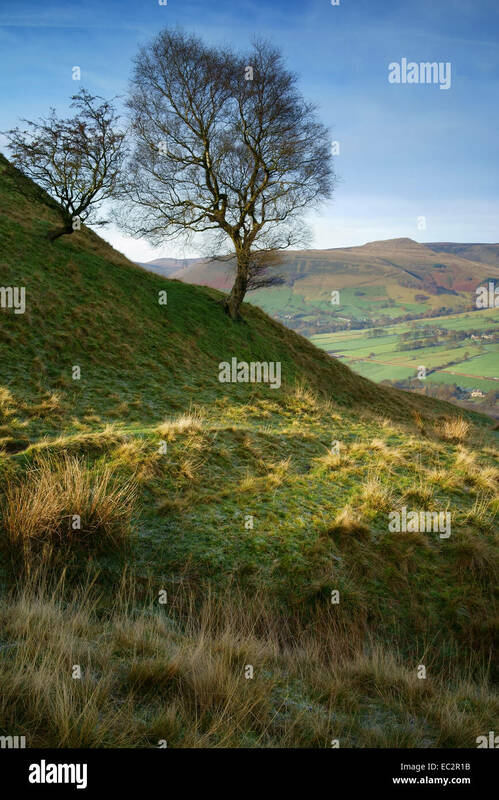 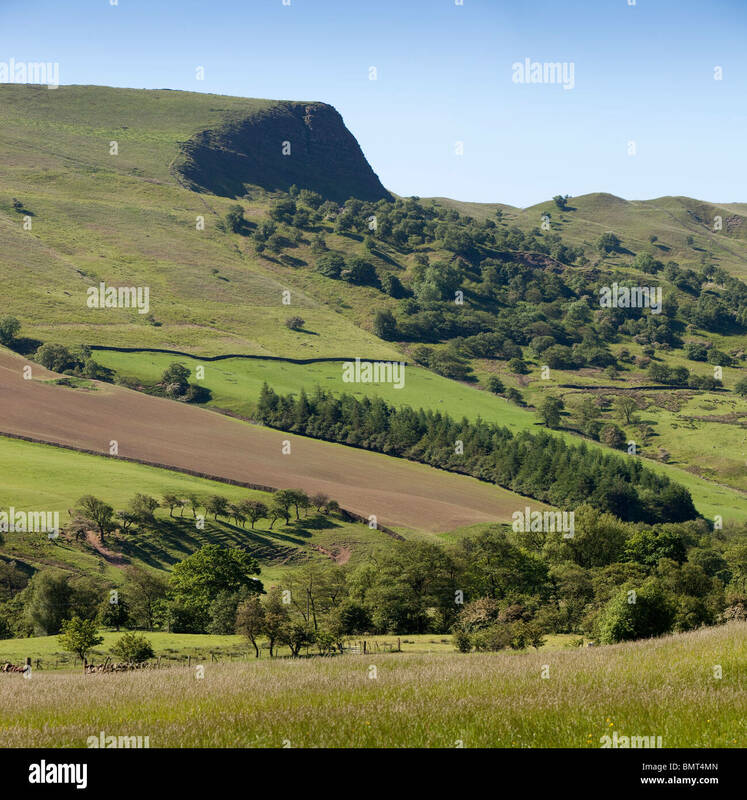 The Vale of Edale, Derbyshire in the Peak District countryside, England, UK. 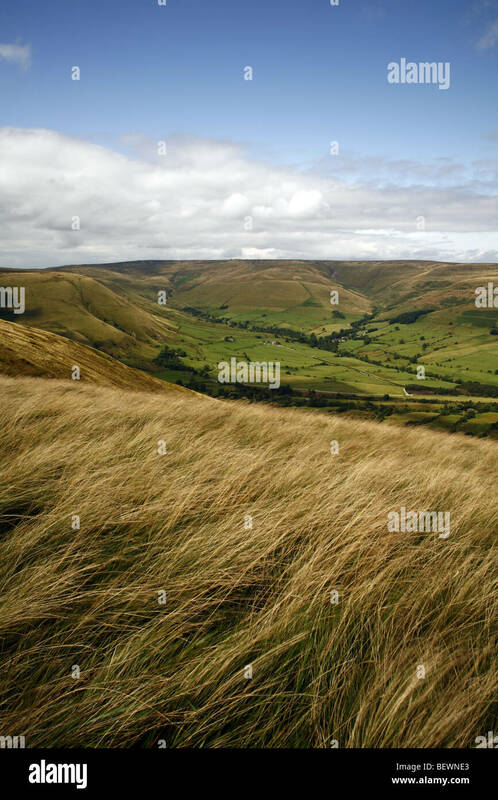 Edale, Derbyshire, Peak District National Park, England, UK. 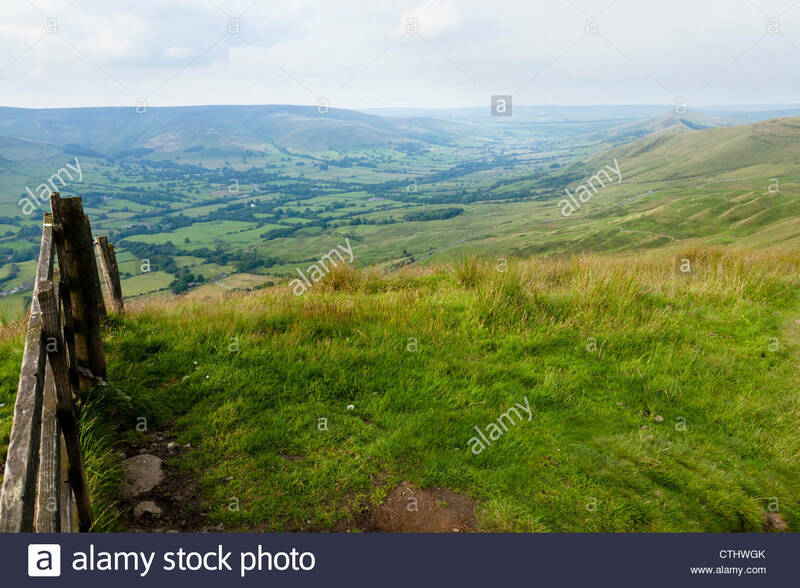 Vale of Edale from Rushup edge,Peak district national park, Derbyshire,England,UK. 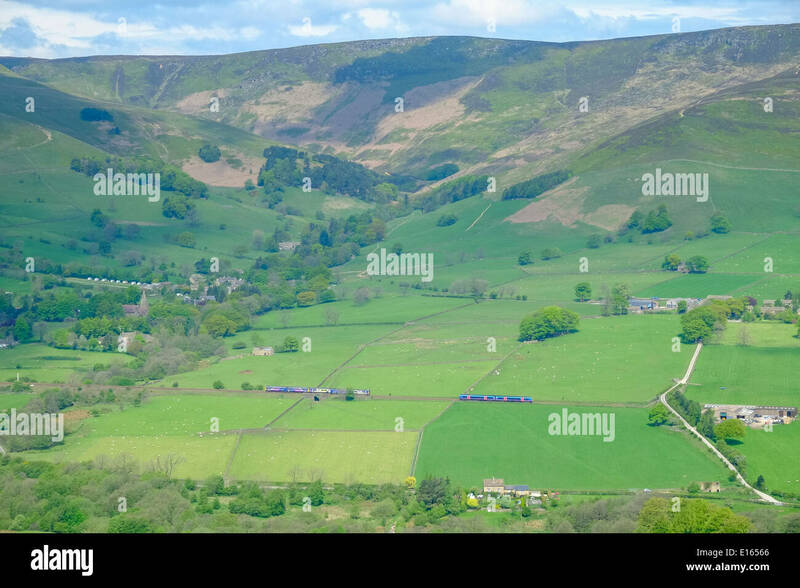 A TransPennine Express Class 185 passenger train travelling through Edale on the Hope Valley Line, seen from the moorland above. 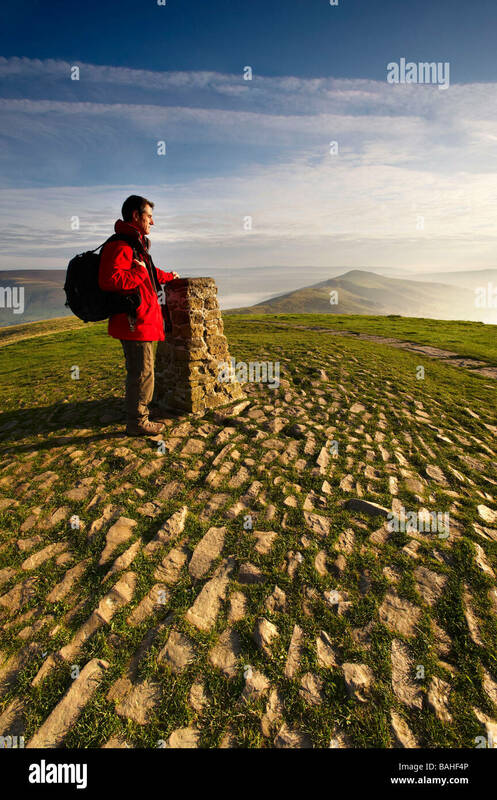 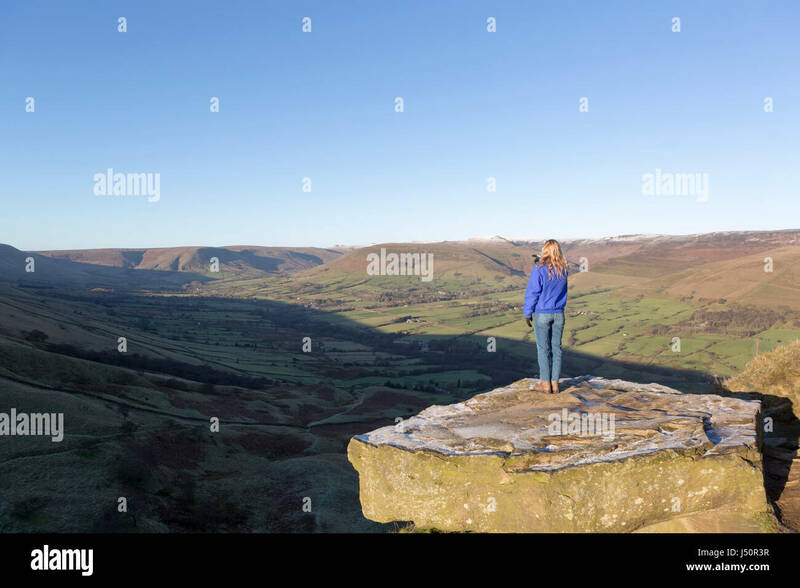 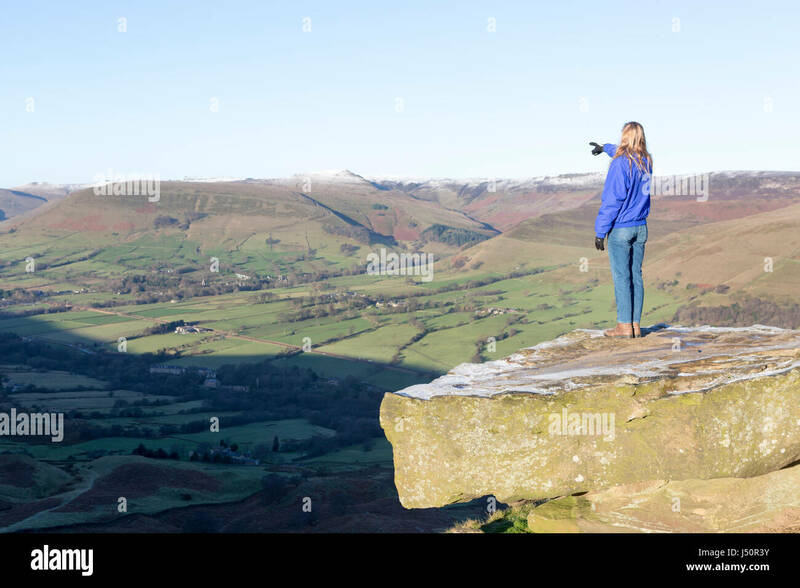 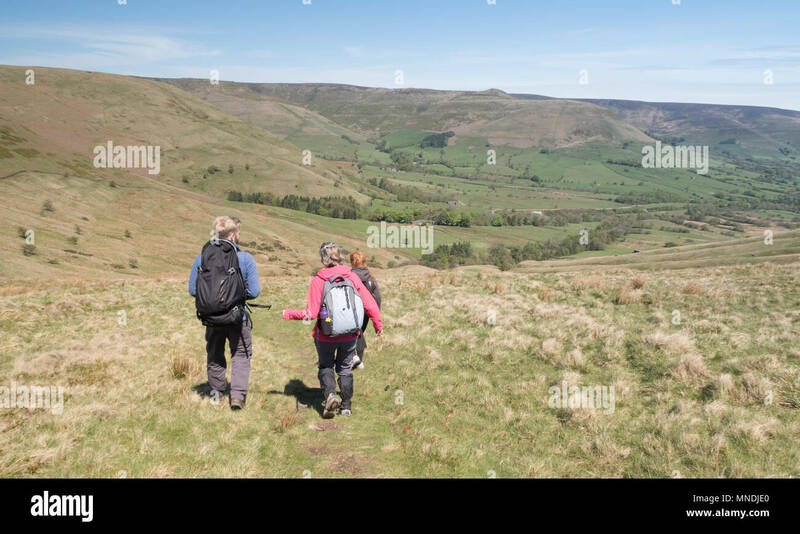 A walker admiring the view towards Edale. 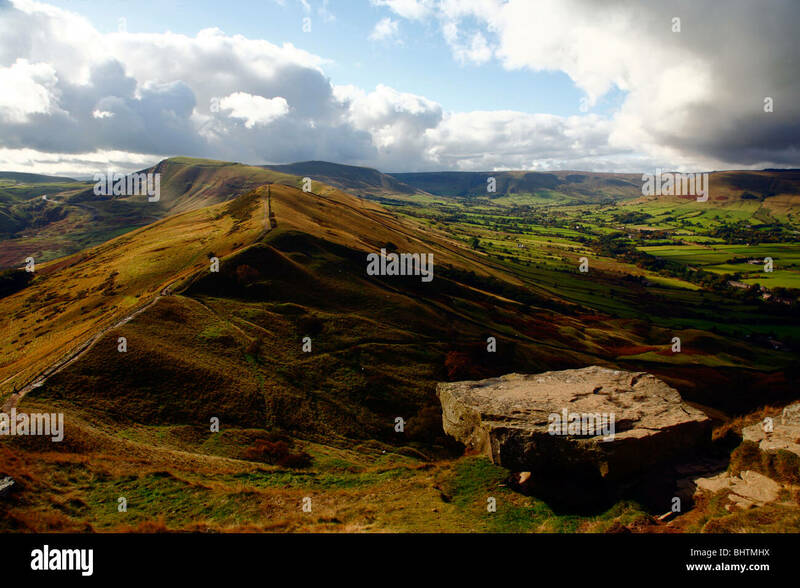 Edale viewed from Mam Tor. 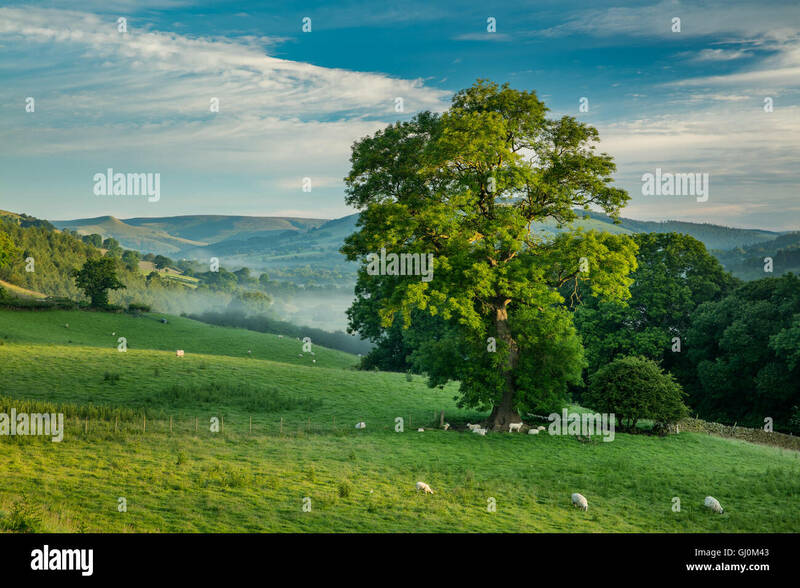 To achieve maximum depth of field I focus stacked two images together. 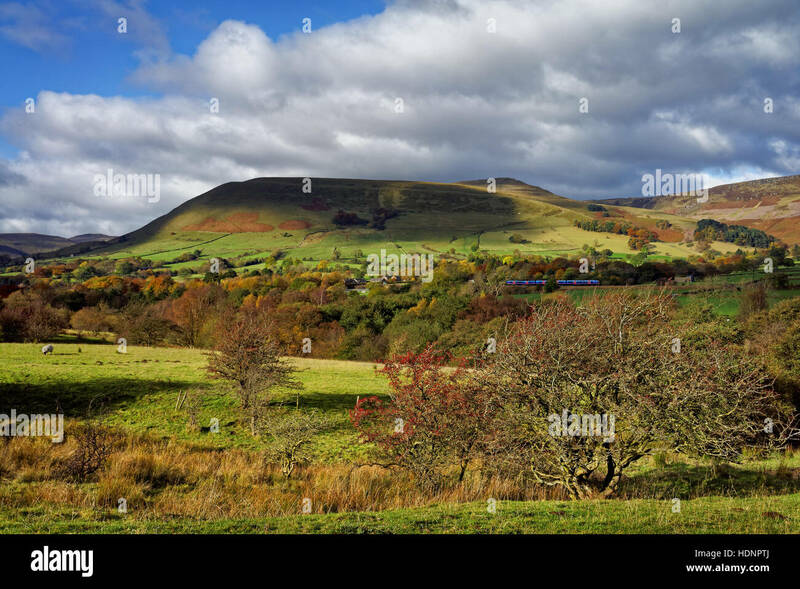 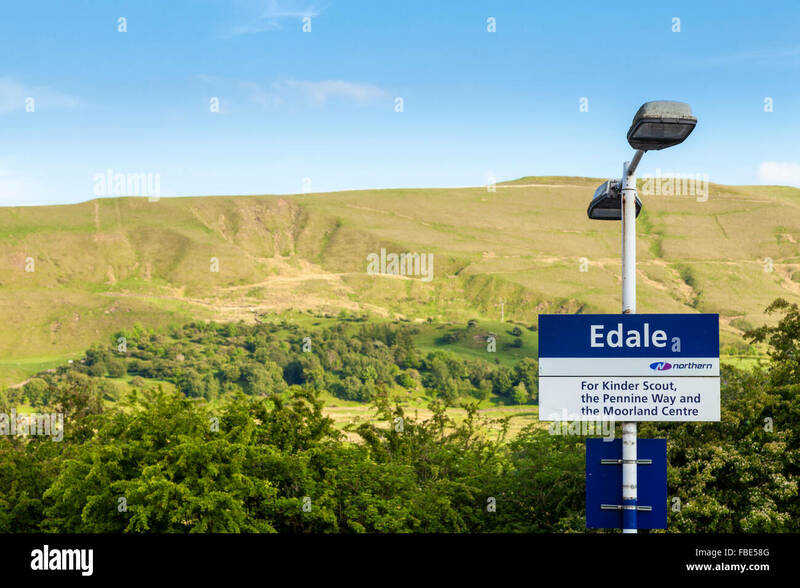 Sign for Edale Railway Station, Derbyshire, England, UK with Mam Tor in the distance. 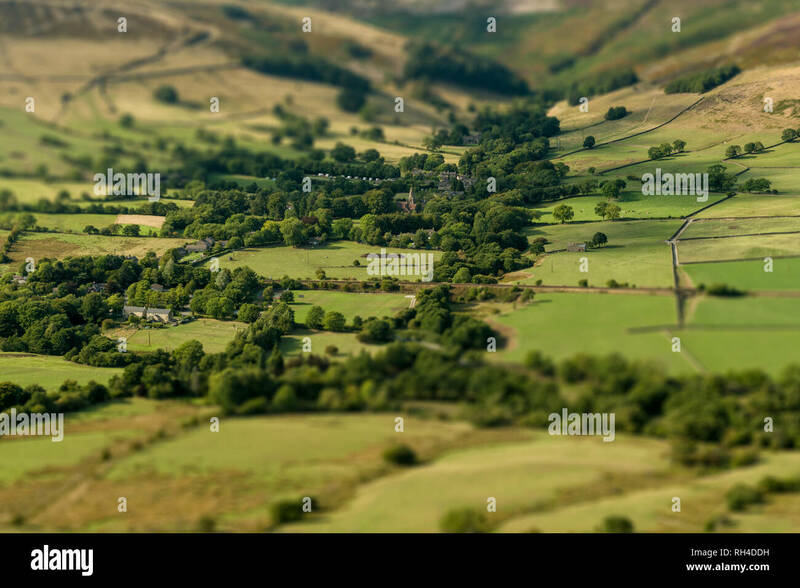 Edale village given the tilt shift look, shot from the summit of Mam Tor in the Peak District National Park. 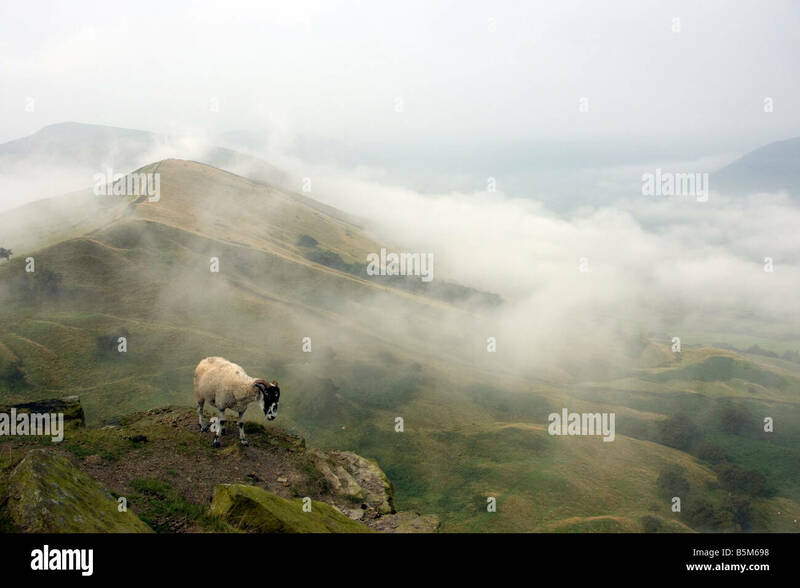 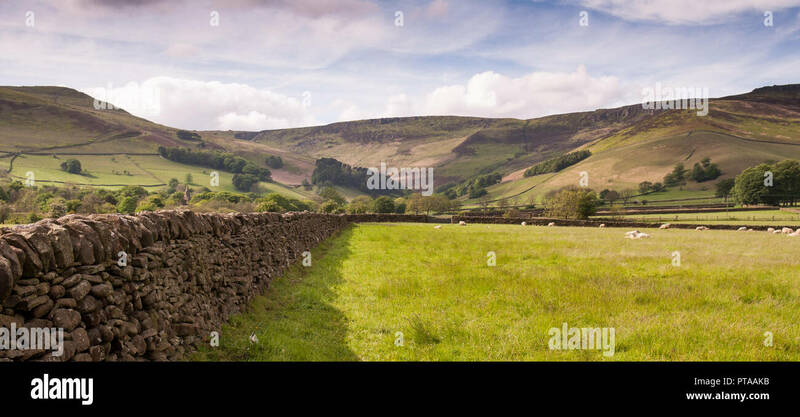 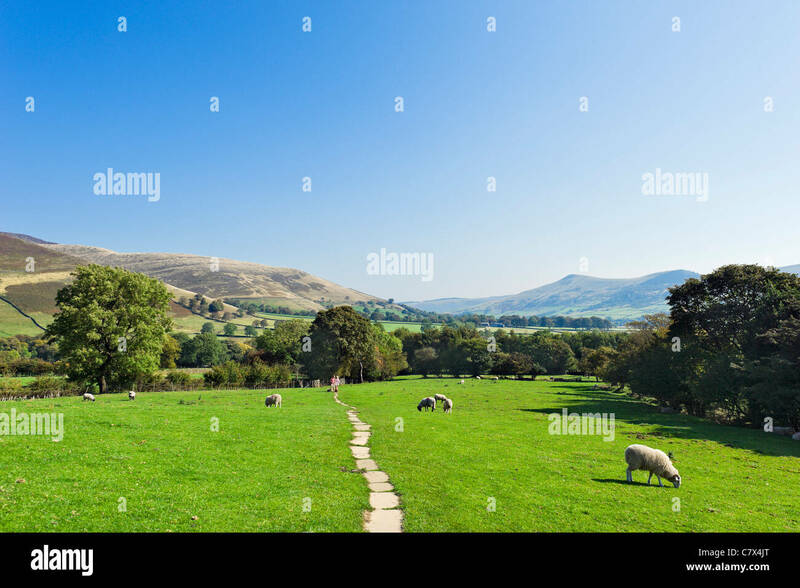 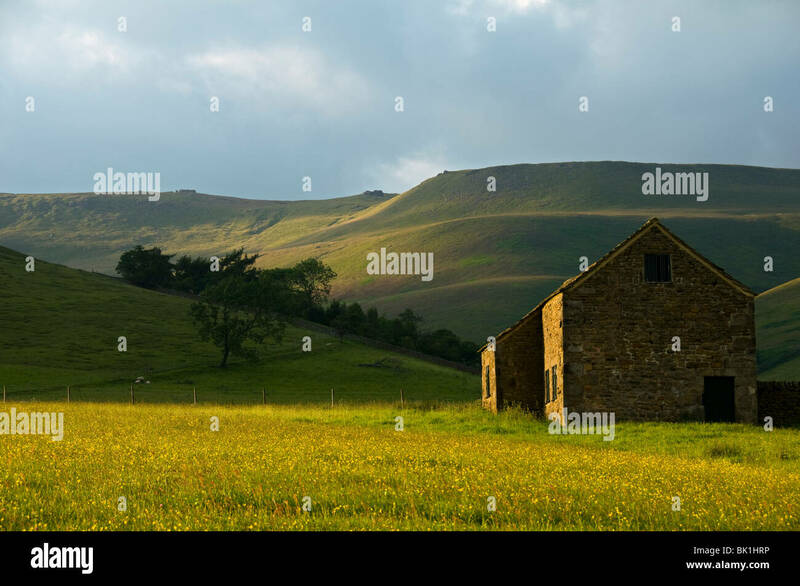 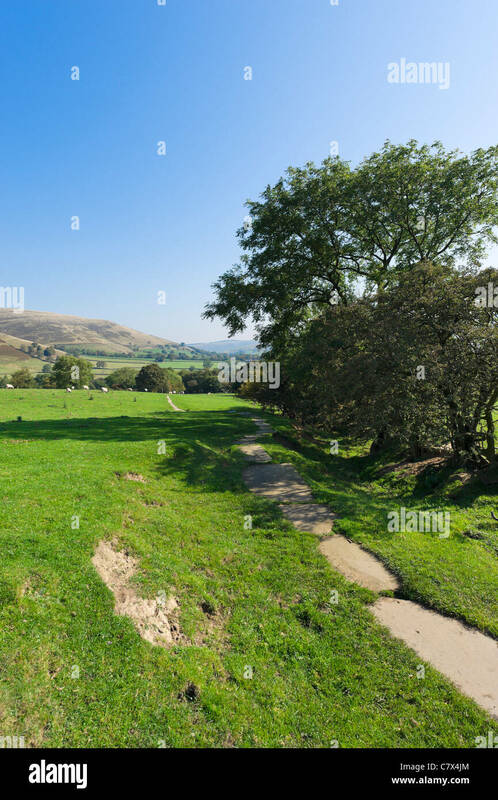 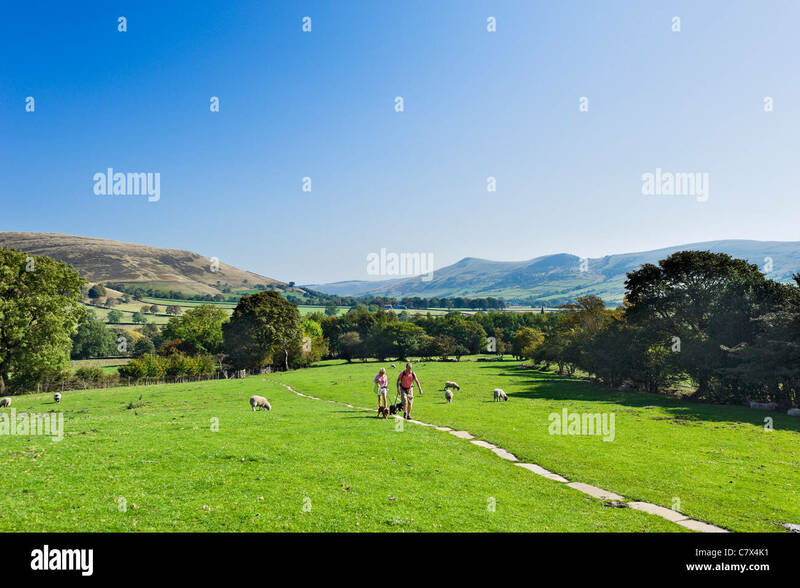 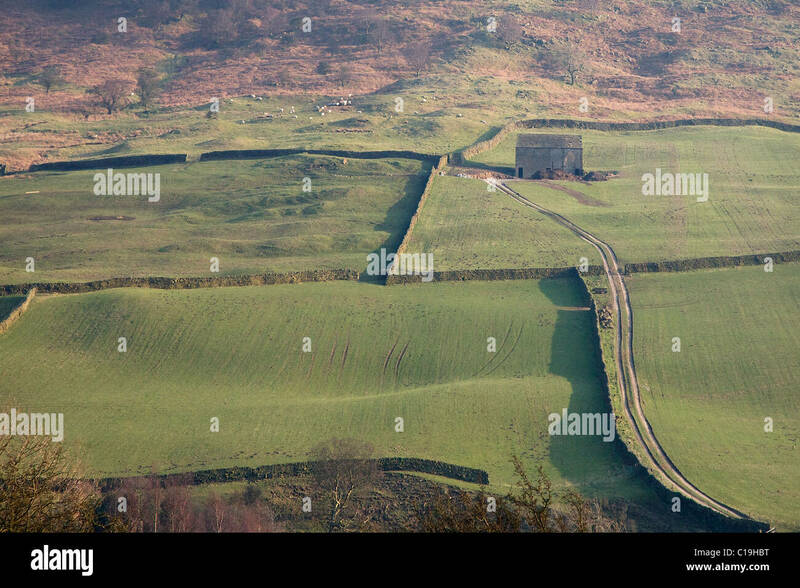 Sheep graze in fields in the valley of Edale under the high moorland of Kinder Scout in Derbyshire's Peak District national park. 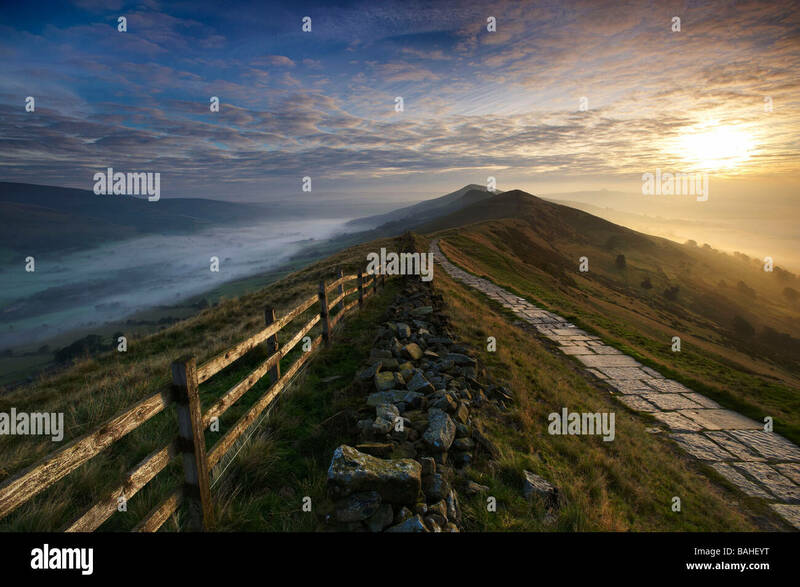 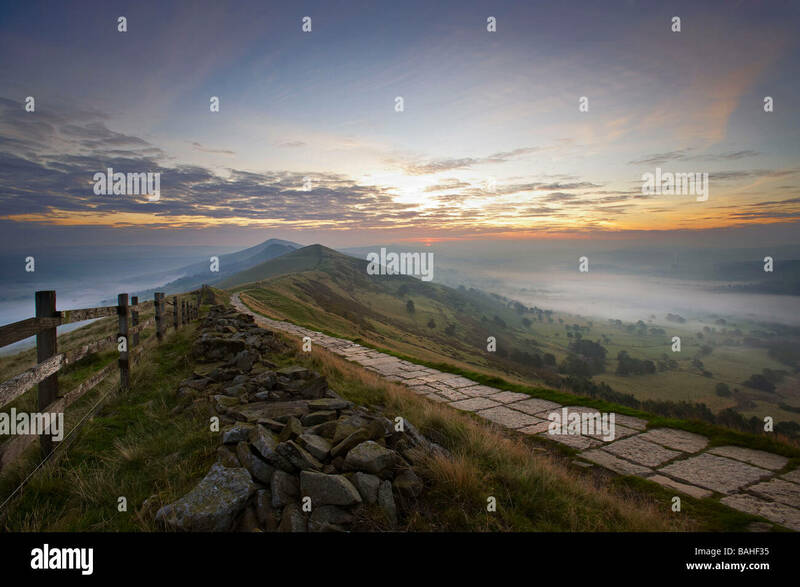 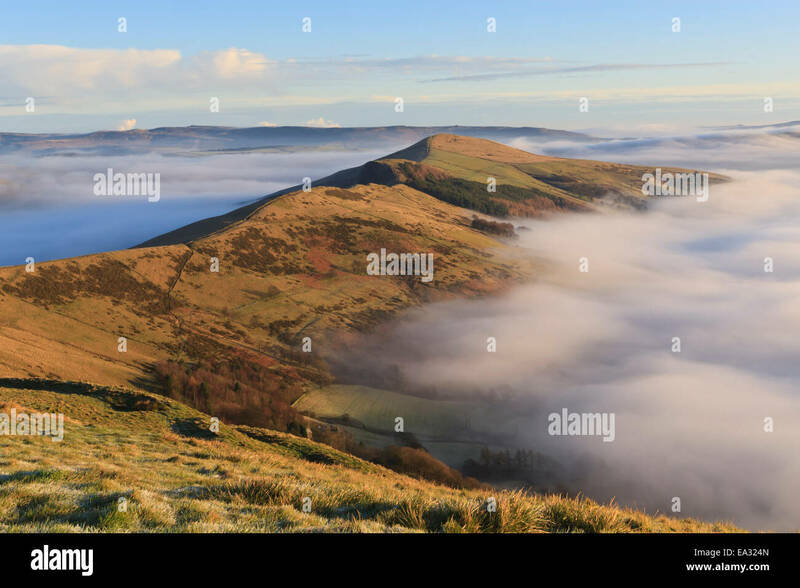 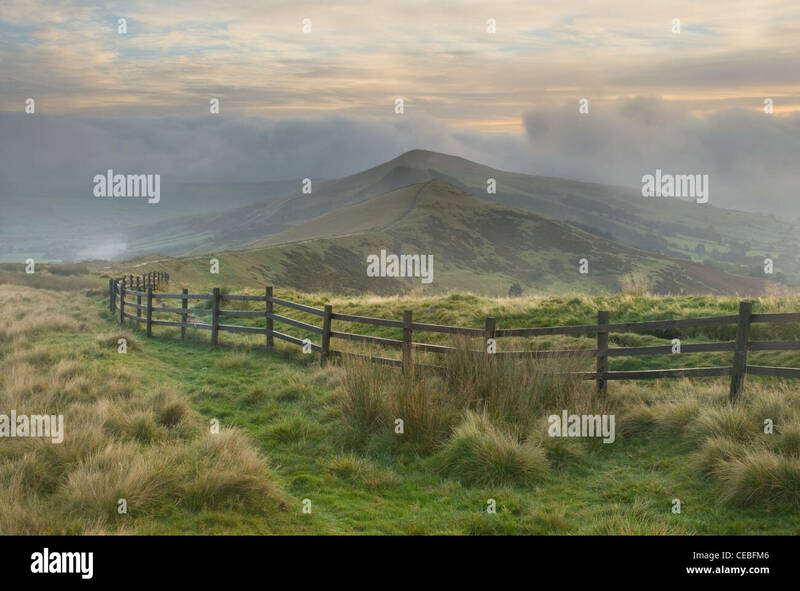 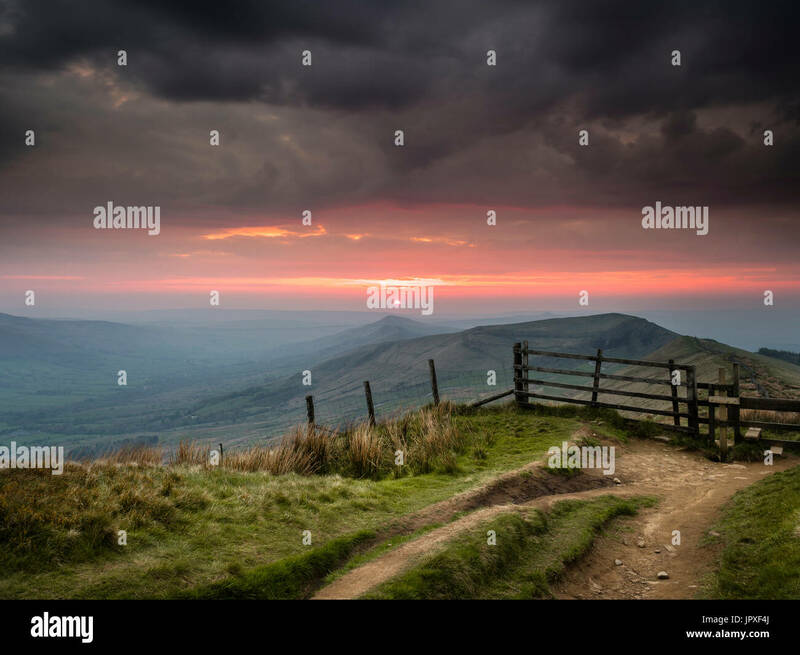 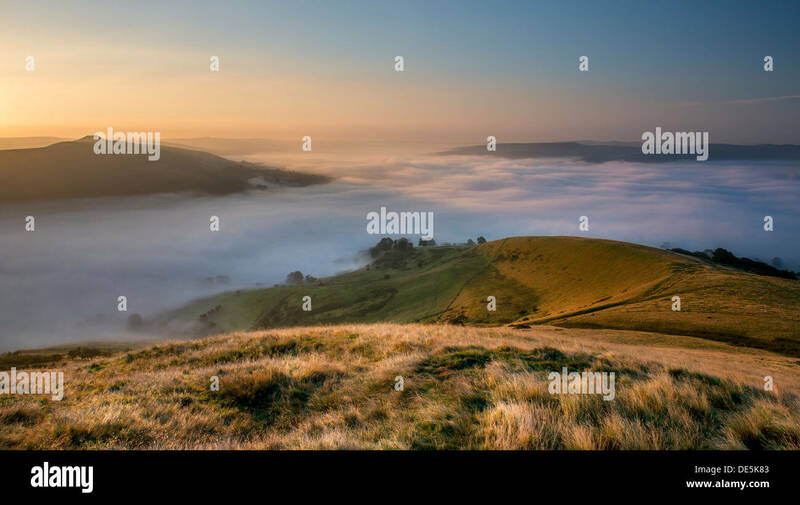 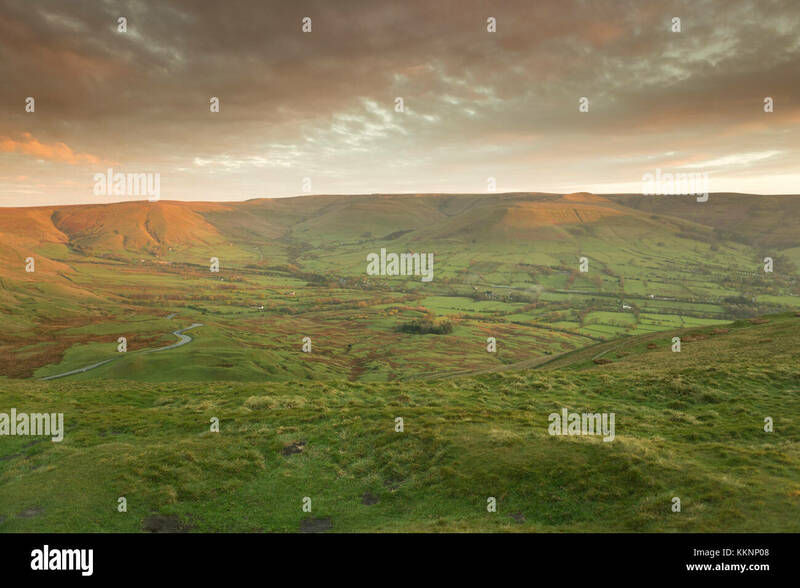 UK, Mam Tor, the view from Mam Tor towards Edale, at sunrise. 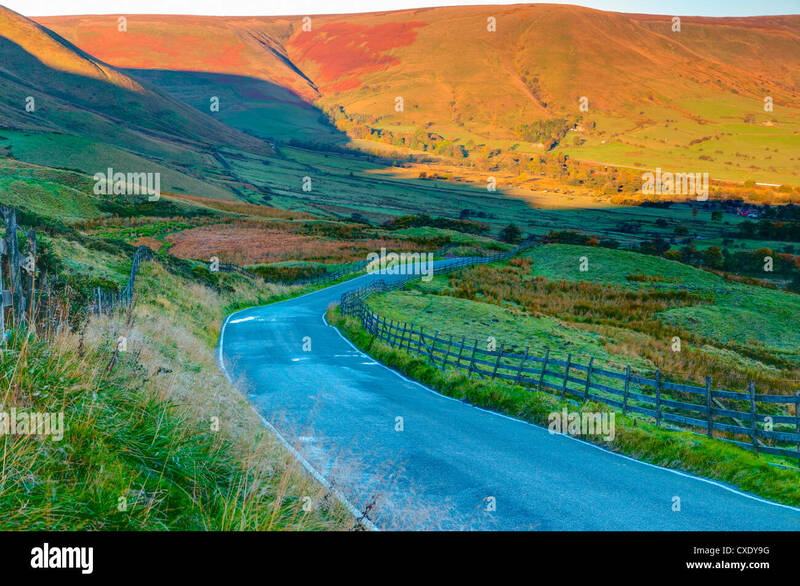 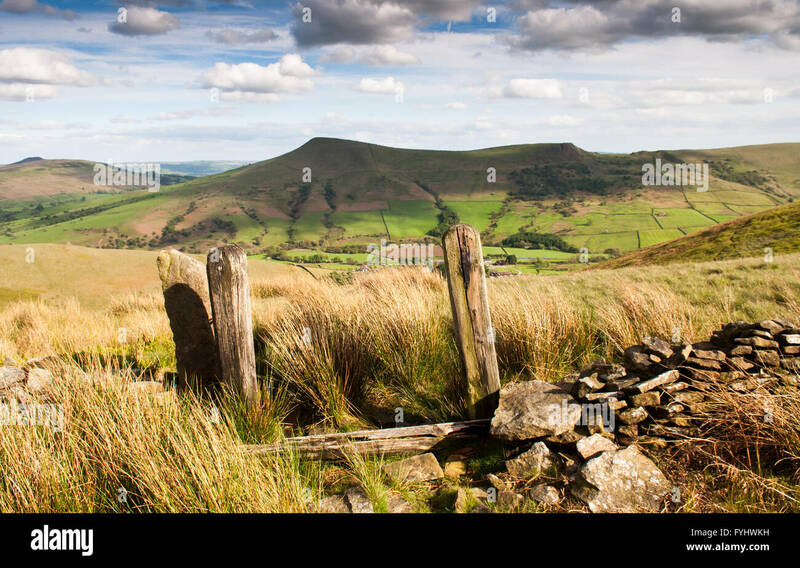 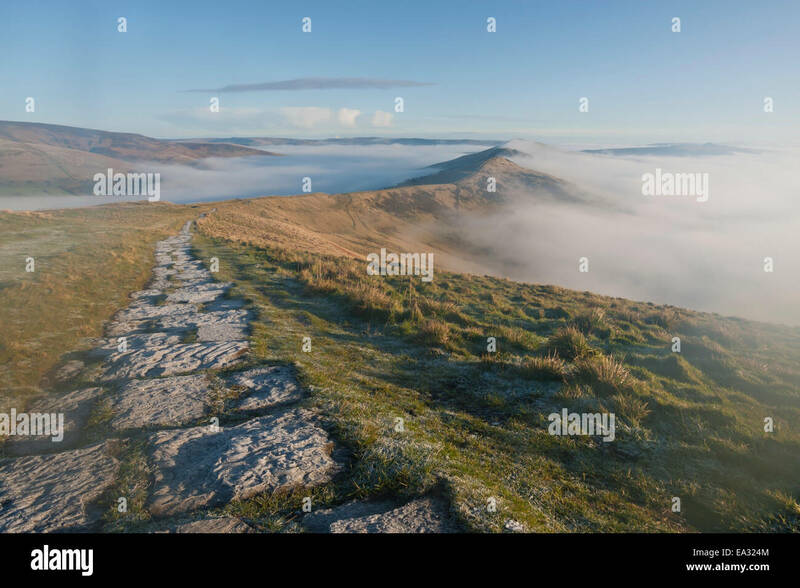 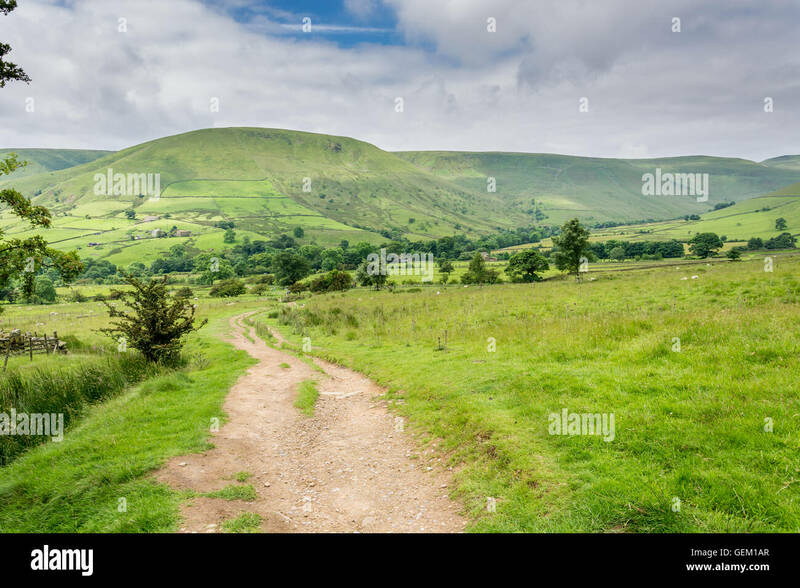 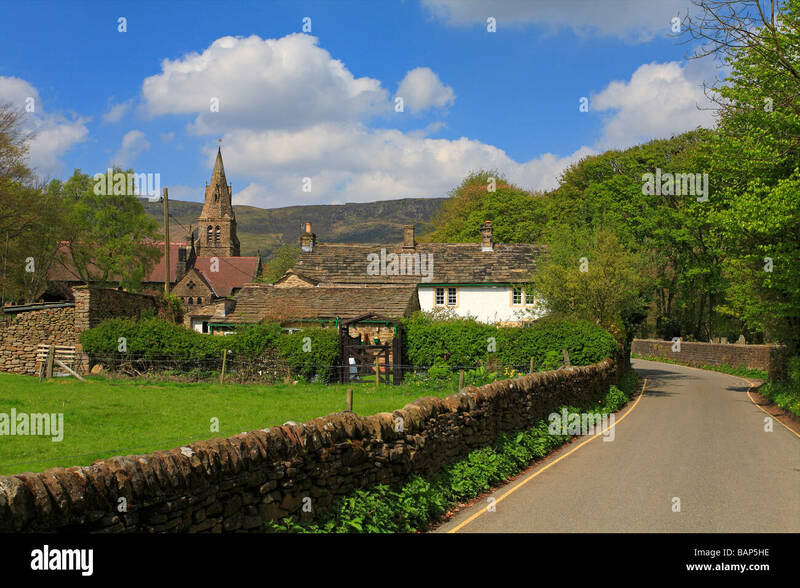 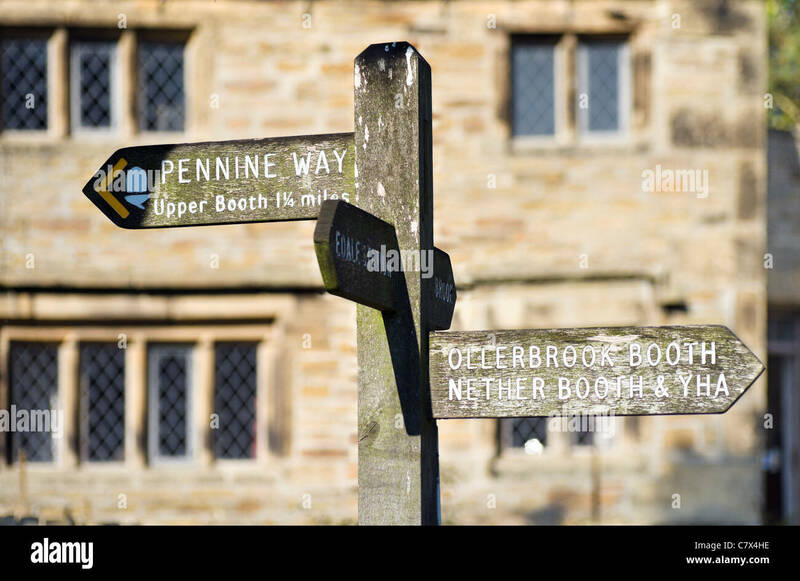 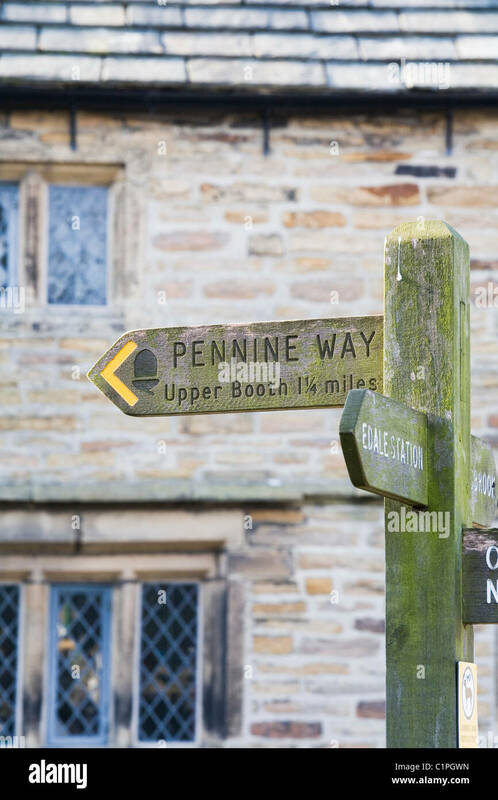 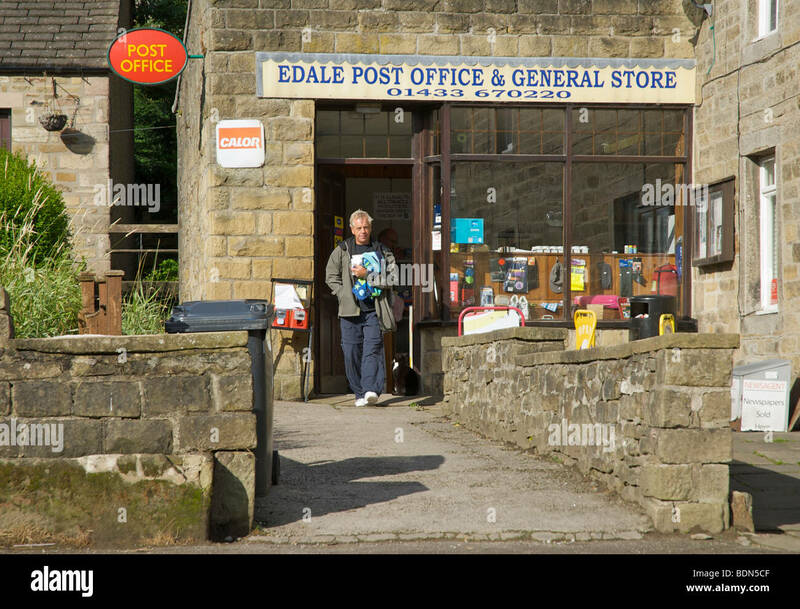 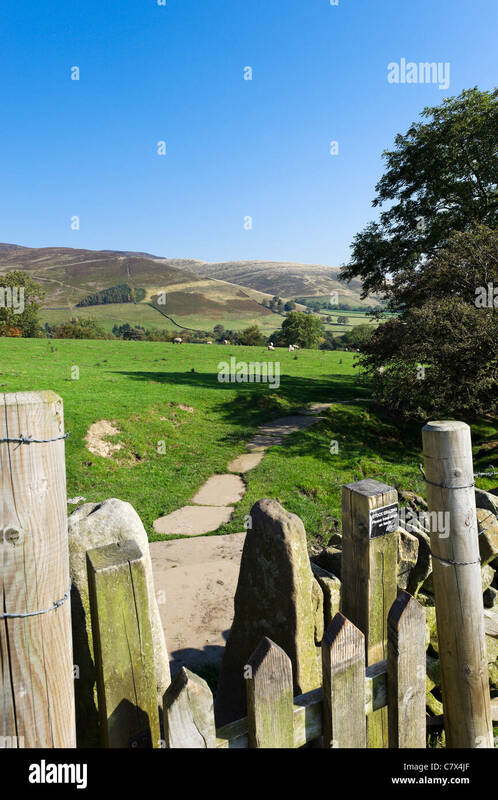 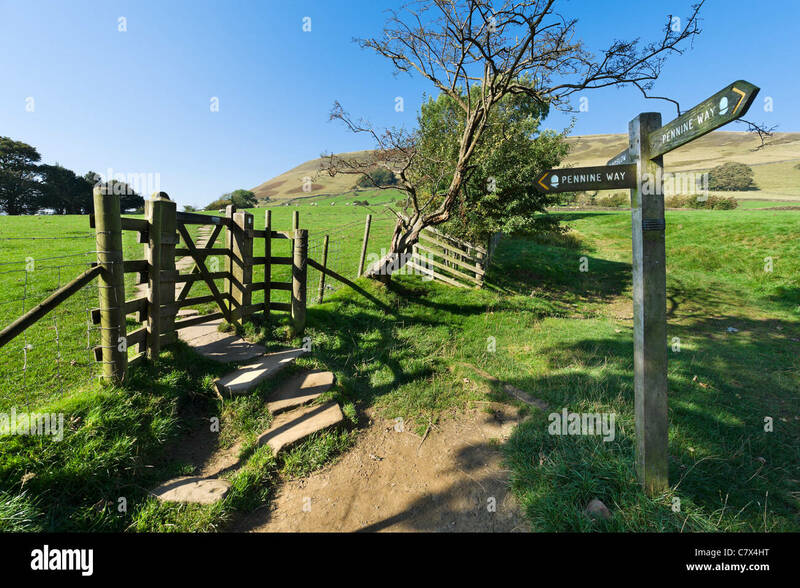 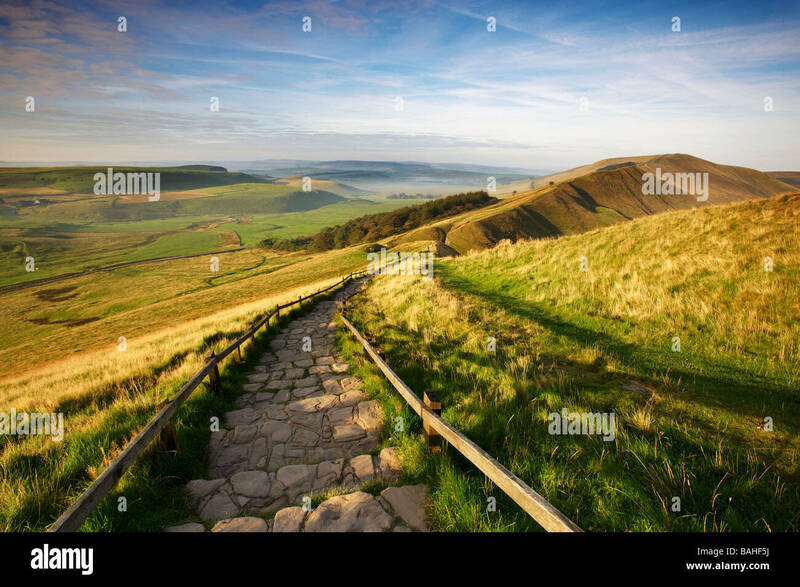 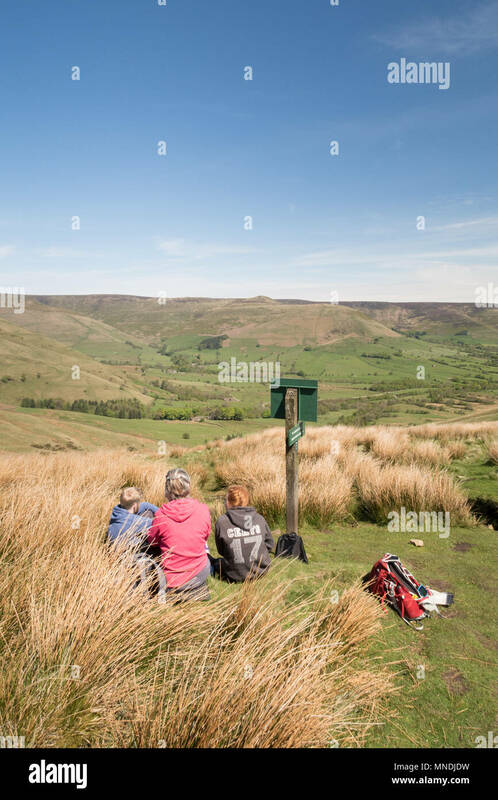 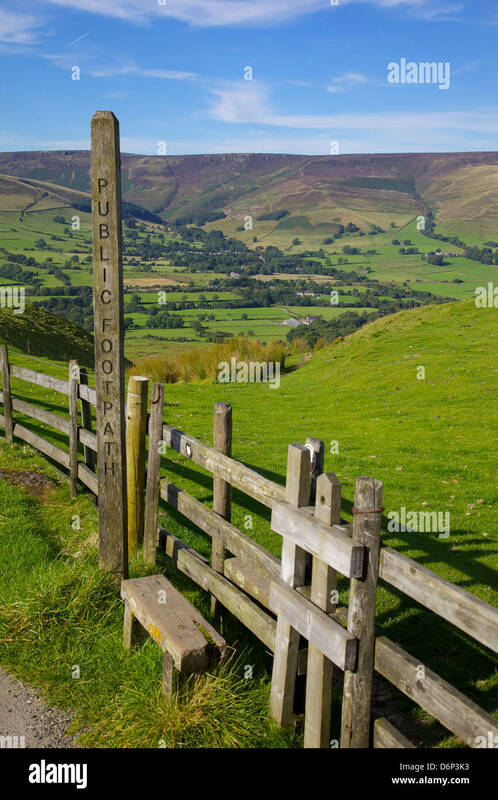 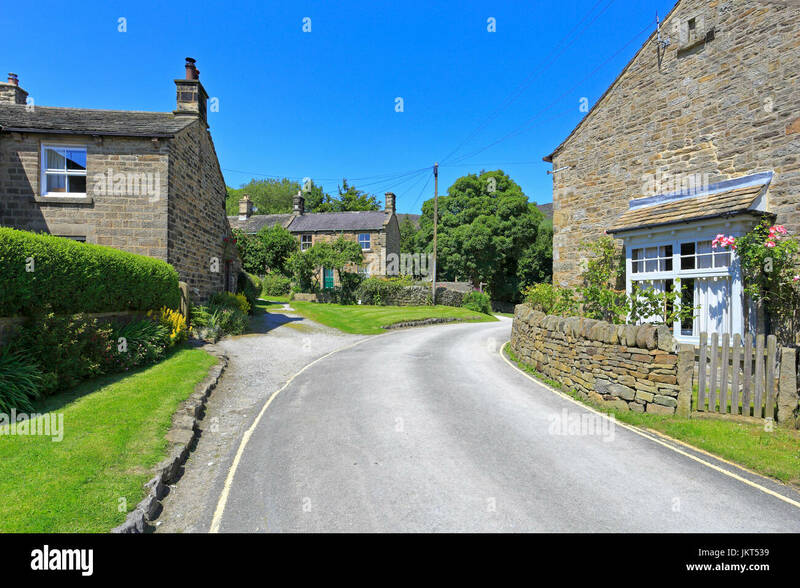 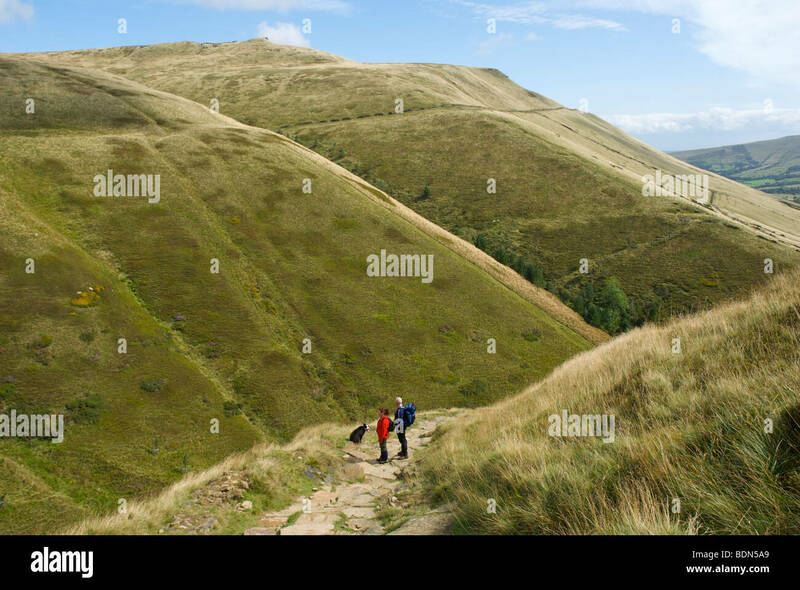 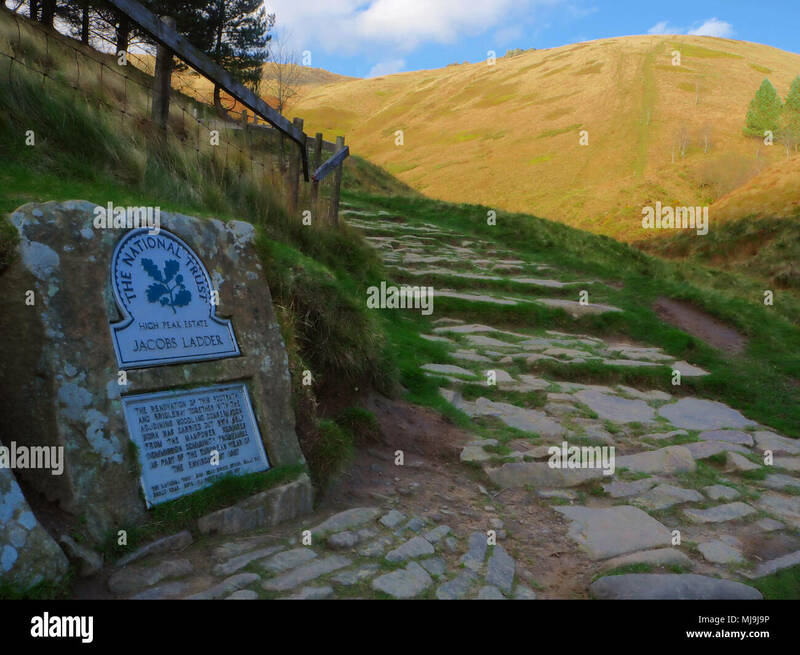 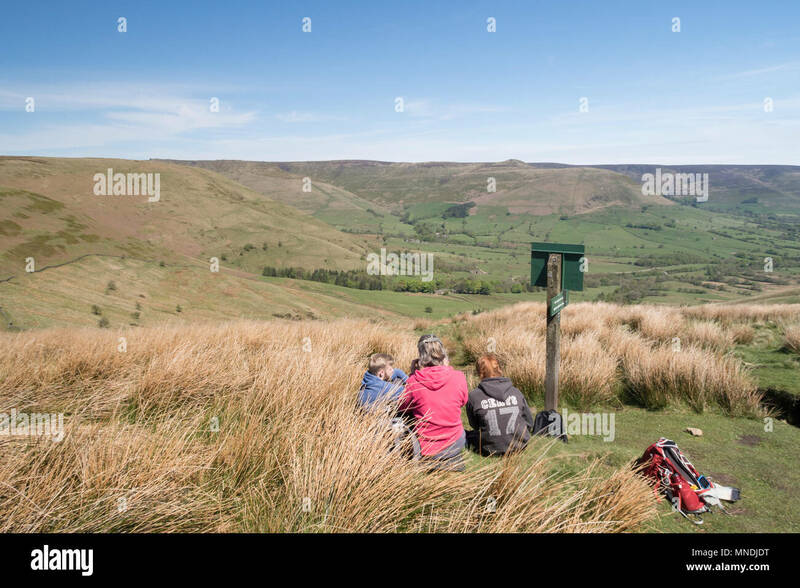 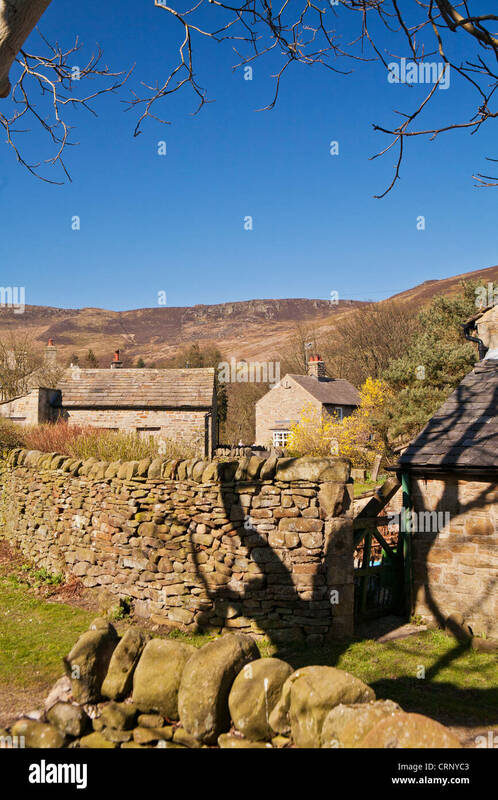 Edale, the start of the Pennine Way, Derbyshire, Peak District National Park, England, UK.